Please enjoy our Tip of the Day. We hope you'll take some time to browse through our archived list of many useful tips. We strive to include tips that will make your busy days easier, eliminate time and work intensive household chores and occasionally remind you of upkeep and maintainence that sometimes gets overlooked. Pressure washing your deck is a great way to clean it, but make sure to use the correct spray nozzle, a powerful stream can damage the wood. Hold the spray at an angle and use a consistent motion. Schedule your HVAC system’s bi-annual checkup and servicing now between the heating & cooling seasons. Adopt a pet! Also be sure to have it neutered or spayed so not to add to the population of unwanted pets. It should be warm enough this weekend to get the outdoor furniture ready! If you find your cushions have mildew stains, mix half water and half distilled white vinegar in a spray bottle. Spray directly on the mildew stains and scrub with a soft-bristled brush. Rinse with clean water and allow to dry. If the cushions are simply dirty scrub them with sudsy water (dish soap and water) and rinse thoroughly. Crock pots can be a wonderful way to have dinner ready but sometimes they get to be a baked on, caked on, mess! If this happens fill the pot with water & 1/4 cup of baking soda, then cook on high for three to four hours. Dump out the water and clean with soap and water. This is a good time of the year to prune branches that didn’t make it through the winter. It's time to store your snow blower for the season. Yay! Make sure you drain the fuel or add a stabilizer before you tuck it far away and out of sight! Keep your tomatoes at room temperature instead of in the fridge. Take it one step further and store them stem side down to keep them fresh longer. The sun is shining, get ahead of the game and begin cutting back perennials and pulling up old annuals. Good time to go through your "outdoor" tools! Rakes, pruners, hoses, sprayers, etc. Are your's shot? Need to get new? Have you checked your vehicle registration and inspection sticker lately? Up-to-date? Once a week or so, when you’re ready to run the dishwasher, add your sink strainers and run them through to keep them clean and sanitary. You use a toilet brush to clean the toilet…but what cleans the toilet brush? Try this…add a bit of Pine-Sol in the bottom of the brush container. You should regularly clean your pet's water & food dishes. Doesn't take much for bacteria to grow. Do you throw away scissors when they don’t cut well anymore? You don’t need to. Rip several pieces of aluminum foil the size of the scissor blades and cut through the pile multiple times. You’ll find your scissors will cut well again! Anxious for spring? According to The Farmer’s Almanac this is a good time to begin tomato plants inside. If you begin them from Mar 7th -22nd, they’ll be perfect to transplant outside between May 10th and May 31st. Check over your house and yard to evaluate any wind, snow etc. damage. May need to put a claim into your insurance agency or start booking contractors. Not sure when you would have a potato peeler available and not a Phillips head screw driver but…it’s a fun piece of knowledge to have just in case. The end of a potato peeler will often work on a Phillips head screw when there is no Phillips head screwdriver available! A lot of ice melts burn dogs & cats paws, even some of the "pet friendly" can too, so be aware and also, remember antifreeze is sweet tasting to them but can make them very sick - or worse, could be fatal. PLEASE! Limit the time your pets are outside and when they are-watch them! They get disoriented in the snow, and their paws easily freeze leaving them painful to walk where your pet is stuck and can't get back to the house. Ok, we've had one pretty good snowstorm, how did that cheap plastic shovel hold up? Before the next storm why not get yourself a decent shovel and car snowbrush! Vacuum out your furnace vents, intake and outake, they accumulate a lot of dust. Can't stress this enough-clear away snow from your furnace vent pipes! Blowing snow can get packed inside or drifts can block the open pipe, causing potential for the furnace to quit. If you must drive during a storm or in any bad weather, prepare yourself, have a blanket, water, snacks, extra clothing, gloves, hat, etc. in your car. Also, if you go off the road the best thing is to stay with the vehicle (unless there's danger of gas leak or fire). If you're in the car and stuck in snow check the exhaust pipe to make sure it's not clogged with snow if you run the car to stay warm. Make sure your car windshield fluid is filled-get one for ice! Get some snow lately? Realize you weren't ready afterall? Get a new snow brush, shovel, fill your windshield washer with one for cold temperatures, put blankets in your car, sand or cat litter. Be Prepared you've heard it million times! Many people freak out when they see that black stuff on walls, etc. I think their first impression is "dirty". Importantly mold and mildew issues should be inspected for the source of the problem, not just to look for a cover up. Ok, let's just say you actively took care of that but want to clean up what's there. Bleach mixtures tend to make the mold spores jump to another spot nearby therefore really not "killing" the mold just moving it to grow in another location. This mixture can kill mold and help with that mildewy smell. Mix together in a spray bottle and use it to clean items such as a refrigerator, bathtub, shower, toilet area, garage, basement, etc. wipe or rinse afterward. Start the New Year out by volunteering! So many various organizations need help. Don't burn wrapping paper in the fireplace because it can contain metallic materials that could be hazardous to breathe in. Once a week, pour 1/4 cup baking soda down each of your kitchen drains, followed by 1/2 cup vinegar. Let this sit in the drain for 20 minutes or more. Flush the drains with the boiling water. Keep fire extinguishers in easy to reach places throughout your home. Test your garage door opener to ensure that it reverses when it hits an obstruction or when its sensor beam is interrupted. You have reversed the rotation of your ceiling fans, haven’t you? Have your dryer vents cleaned, incredible how much lint collects. Never connect more than three strings of Christmas lights together. If you own a front-loading washing machine, leave the machine open to dry after each load and wipe down the inside of the machine and the seal every couple of loads. Cover the bottom of your oven with aluminum foil when you're baking something that may overflow. Keep anything that can burn at least three feet away from the furnace, fireplace, wood stove, or portable space heater. Keep a cold-weather kit in your trunk. It should include a blanket or sleeping bag, gloves, bottled water, folding shovel, first aid kit, flashlight and cell phone charger. Your water may be good clean water, but all water has sediment in it. Over time the sediment will settle at the bottom of your water heater which can eventually cause expensive problems. You should flush and clean your water heater annually. Every year on April 1, DFES (Department of Fire and Emergency Services) promotes the day as a reminder to regularly change smoke alarm batteries. Even if you did it then but you didn’t do it this past weekend with daylight savings time (another reminder time) check them now. Check that the batteries are good, and the smoke alarm is working. Before winter hits, take a moment to save the numbers for your auto club, insurance agent and towing service into your cell phone. Only a few weeks till Thanksgiving, maybe need to make an appointment to get your carpets cleaned, air ducts, gutters, etc.! Do you own a pressure washer? Don’t forget that it needs to be ‘winterized’. Disconnect the hoses and spray in a pump antifreeze so it won’t freeze and be damaged over the winter. Now is a good time to top off/add freeze resistant windshield wiper fluid. With Halloween coming and trick or treating, have your porches, steps sidewalks & driveways clear of debris and try to have them well-lit so the little kids can see their way around. ‘Prepare your grill for the winter’…unless you use the grill all year long (like some of us diehard grillers do). If you leave your grill outside during the winter keep the propane tank connected (but shut off) and put a protective cover over the entire grill. It goes without saying that you should really clean the grill before covering it for the season! A general rule of thumb is that oil-based paint can be applied when the temperatures are between 40°- 90° F and latex between 50°- 85° F. Be sure to check the instructions on the paint you’ll be using for specific instructions on application temperatures. Before winter hits full force, make sure your attic and walls are properly insulated. If you find the insulation is inadequate add insulation to prevent cold air from seeping into your home. Check your snowblower for oil, gas, blades in good shape(? )-And might want to buy a new snow shovel! Check out all our information on JimSalmon.com! Leaves are starting to turn colors-which are beautiful,, however, then they fall, and you have to clean them up. Do you have a new, solid rake or that one from years ago that's broken? How about a leaf blower, not as much exercise but works well! Be ready! Keeping your vehicle’s glove compartment organized is a good policy. Ready access to your current car registration and proof of insurance helps eliminate anxiety if you ever get pulled over! While you’re organizing make sure that all your paperwork is current. Regularly clean out bird feeders, scrape old wet seed, let air out, refill. Hummingbirds have left our area, take down the feeders and clean thoroughly in soapy water, no bleach or other chemicals, save for next spring! Soak paper towels in vinegar and apply them to areas in your sink or bath where there are lime-deposit hard-water stains. Let them sit for a few minutes and then wipe the stains away. Now is a good time to go through your closet, pull out those unwanted/un-needed clothes and donate them! Fall is the time of year to remove dead or diseased limbs. Cut back excessive growth and trim to the desired shape. Purchase Gain beads and add a small amount into a new spray bottle and fill with warm water. Let this sit for about ten minutes (shake it up to help mix). Use as an air freshener or spray on carpets, couches, pet beds etc. The scent last much longer than most spray air fresheners! Start the fall with a complete check up of your furnace! If you need a company, may we recommend Crossfield Heating 585-872-4420. We haven’t tested this tip but it sounds like a real winner if it works!! Apparently you can “lift” rust right off your patio furniture by dabbing some ketchup on it and rubbing it away with a clean cloth. Not so sure about this but we'd love to hear if anyone tries it! Ladders look simple and harmless, but, according to OSHA, falls from ladders are among the leading causes of work-related injury and death. When using a ladder use common sense and be safe! A thermos, lunchbox, or even a travel mug that is beginning to smell unpleasant can be cleaned by pouring 1/4 cup salt into it and close it up for the night. In the morning, rinse and wipe clean, this should make it smell fresh again. Here is a homemade tip that claims to keep many types of ‘critters’ away including mice, rats, snakes and others. Cut “V” shapes towards the top of plastic containers, about ¼ from the top, (you can leave the “V” shaped flap attached). Fill the containers with water up to the cuts. Put four to six mothballs in each container. The mothballs last a long time but every now and then check the containers and add more water. Apparently, pests do not like the aroma and stay away. It’s worth a try, inside or out! It's coming, fall and winter. Trees take a beating. Look yours over for weak branches, diseased trees, if you're not sure - get a tree specialist involved. Leaving an open box of baking soda inside any cupboard, linen closet, camper cabinet or anywhere that doesn’t get used regularly will keep the contents fresh and odor free. A squeegee run across a carpet will loosen and pull up a lot of pet hair. The best part of this is that kids love doing this! You get the squeegee the kids do the work...can't beat that! Remember to check your dryer vents, they get clogged with lint and critters might have made a nest. Also, always clean the dryer filter after each load, then occasionally wash the filter, it's such a fine screen a toothbrush works well clearing the dirt. Air vents get very dirty and dusty over time. That dust can easily make it back into the room and what doesn’t can block the air from getting out. If you haven’t cleaned the air vents lately it’s probably time to! Pick up the small pieces of broken glass with a slice of bread. Seriously! No matter how careful you are you can’t always pick it all up…but the sliced bread can! Your dog doesn’t mind slobbery dirty toys but if you would feel better cleaning them once in a while you can toss them into the washer with one tablespoon of baking soda for a thorough cleaning. Most homeowners have this product in their garage at the ready but for those that don’t you may want to purchase some…Clay kitty litter... it works to absorb oil quickly. In the event of an oil stain on the garage floor simply pour some kitty litter over the top of the stain and let it sit for a day or two and then clean it up...kitty litter and stain! We certainly don't want to even think about the weather changing, just can't say that 4 letter word!! But,, now is the time to get your furnace cleaned, your ducts cleaned, have an energy audit, have a serious discussion about spray foaming the band joist in your basement, etc.. Also, have a home inspection, you don't need to be selling to have one. Give us a call, 585-589-5650 we will be happy to discuss it with you. Dehumidifiers are the perfect solution if you're suffering from unwanted or excessive humidity in your home or office. A humidity level below 30% is too dry, while a level above 50% is too high. Buy an extra dish wand and fill it with half vinegar and half dish soap. Now you have an easy to grab cleaning tool for scrubbing the bathroom (and other areas). And the best part is you can replace the sponge end as needed. It doesn’t hurt to repeat this tip. Never leave pets in a parked car in summer, even with windows partially open. The temperature inside a parked car rises very quickly and can kill a pet in less than 10 minutes! Seems like everything is smelling musty with this rain and humidity. Run fans, A/C anything to circulate the air. Is everyone’s house ‘damp’ with this crazy humidity this summer? Charcoal briquettes can help remove humidity. Buy a cheap bag of charcoal, fill a basket and set it in the room (or rooms) that feel humid. Any type will work but the best type is coconut shell charcoal which has a high absorption power. Scuff marks on linoleum can usually be removed by rubbing the spot with white toothpaste and a dry cloth. Before that white stuff comes down have your trees checked for broken branches, disease etc. to avoid damage in the middle of freezing weather. For stinky microwaves, put two tablespoons of vanilla in a glass bowl, heat for 30 seconds, then let it sit inside the microwave for a few hours. The weather will be cooling off before we know it. Take the time now while it’s still hot/warm to power wash your home…why now while it’s hot/warm out? Because you know you’ll get soaking wet! Now is the time to check over your lawn mower, grills, trimmers, even your snowblower, etc. Do you need to order parts? Arrange to have them serviced? August is a good time to start seeds for fall crops including spinach, lettuce and greens. In the old days…instead of throwing away a stained article, such as a white tablecloth, they added four or five black tea bags to a bucket of hot water and let them steep for 10 minutes or so. Then they would remove the tea bags, add the cloth (swish it around so it absorbs the water), and let it sit until it became a beautiful antique creamy brown. Lessons from the past! Spend a few minutes and wipe off the sill over doors, you may be surprised at how much dust collects up there! Rid the musty smell from a washing machine by running it on the hottest cycle with the tub empty except for a cup of baking soda in the drum and distilled white vinegar in the detergent dispenser. Take time to enjoy what's left of summer! Don't work so much! Remove a stripped screw by laying a rubber band over the stripped screw’s head to give your drill (or screwdriver) enough traction to remove it. Replace the cabin air filter in your vehicle if you haven’t done so in a while (or ever)! Check your A/C unit vents to make sure it isn't clogged up with debris. Dom Genova owner of Genesee Valley Motors has a tip for us! Check out safercar.gov for recalls on your vehicle. Look for visible condensation on cooler surfaces like windows, mirrors, pipes, and in your basement. If you do find it, feel and check the surrounding area to ensure the moisture is not spreading to walls and nearby surfaces. Do you know that you can listen to the Home Repair Clinic on podcasts? On your 'smart' device, download-if you haven't already done so, the IHeart app, search for Home Repair Clinic! There ya go! Make sure that your tires are properly inflated. Under-inflated tires are subject to excessive friction, which causes heat. When conditions are already hot, under-inflated tires are even more likely to fail. But remember air expands with heat so don’t over-inflated tires in hot weather driving. Keep in mind to clean vents, intake & out-take. Also your dryer filter should be washed regularly-(use an old toothbrush to clean out the screening), it gets clogged up even if you take off the lint after each use. To reduce humidity in home, temporarily place house plants outside or concentrate them in one room. Plants release moisture vapor to the air. When you have lots of plants their role in home humidity levels can be significant. Also make sure not to overwater them. Energy Star states that ideal indoor humidity levels are between 30 and 50%. Keeping the humidity levels in that range help reduce dust mites and allergens. And bonus: a better night’s sleep because humidity levels in that range are healthier on your mucous membranes! It is said that the scent of peppermint and cloves are natural repellents for mice. Soak a piece of rag or cotton balls with clove and peppermint oils and place them where you suspect mice are getting in. This is a general tip,, be aware of your surroundings; walking to & from a store, while getting gas-lock your car, simple everyday tasks when out in public. Too short to clean the ceiling fans? No excuse! Attach a dryer sheet to a paint roller and you can clean the fans very easily! Don't forget the bathroom vent fans while you have your new cleaning tool with you! Cleaning your washing machine sounds redundant but the truth is dirt and grime can get (and stay) in the seals and even in the drum. You might find new stains on clothes that you've washed and wonder where they came from...likely the washer itself. Occasionally clean the washer seals and drum with a mixture of 3/4 cup chlorine bleach and a gallon of warm water. Wipe the areas with the solution and let it sit for about 5 minutes and then wipe dry with a clean cloth and leave it open to air dry. Stop avoiding the baseboards when you clean! Eventually the build up really shows, use a damp cloth and wipe them down every now and then. Maybe this doesn't cross your mind, but your pet food and water dishes should be washed frequently, whether they're indoor or outdoor. Windshield covers protect the dashboard against ultraviolet rays and help keep the cabin cooler. It’s a wise purchase for our beautiful sunny summer we’re having! When do you replace hoses for your washer, dehumidifier, dishwasher, ice maker, and refrigerator? Not until/unless they leak (like most of us)? The recommended maintenance is to replace these hoses once every 3-5 years, but even if you don't do that it is important to at least regularly check for any signs of leaking. Along with not leaving pets or children alone in cars during any weather, really, but in this heat, the metal car seat buckles can get burning hot. For a special treat make and freeze some chicken or beef broth ice cubes for your best friend. And yes, we mean your dog. The next few days promise to be above comfortable temperatures. Stay hydrated! And please remember: Never leave a child unattended in a pool or spa or near water of any kind, not even for 1 second! Get ahead of the game this year: Stock up on summer essentials especially sun block, aloe and insect repellent. It doesn't hurt to have an extra supply, one at home and one in the car! You can keep your AC running smoothly and your energy expense down by changing out your air filters often. Experts advise changing them once a month when using your unit on a daily basis. When was the last time you checked the inspection sticker on your vehicle? Those dates sneak up on us fast! If it's been a while and you don't remember when it's due you better take a peak! Maintaining your home's exterior means routinely cleaning it. The best way to do that is with a pressure washer. If it's been a year or two you might want to consider pressure washing it again, you'll be surprised how quickly the dirt builds up. Worn wipers leave streaks across the windshield and can affect your vision while driving, if this is happening to you it's time to change the wipers! Gutters should be cleaned twice a year. The best plan is to clean them once in the late fall after all of the leaves have fallen and once in the late spring after seeds and blossoms are done blowing off. If you haven't cleaned them this spring get to it!! Please please please! Don't put pets in your car and leave them even for a quick run into the bank, store, or whatever excuse you use. Don't neglect your roof. Checking your roof regularly allows you to find a small problem before it becomes a large, leaky one. Place a big rubber band around a paint can to wipe your brush on and save it from dripping and filling the can edges. Pool filters need to be cleaned out a few times a day - they get clogged up with cottonwood very quickly. All these white floating things -cottonwood & dandelions seeds- all over, Check your fans, air conditioners, mower engines, etc, anything with intake fans, clean them out. They easily clog and slow down or burn out. You know that struggle trying to add a new key to a key chain? Use a staple remover to pull the rings apart and save yourself the frustration! Do you have a spot with an excess of cords? Label those little bread clips and clip over the cord so you can identify which cord is which. It's bug season...check your window screens for holes and tears. Pull the fire extinguisher's safety pin. Sweep the extinguisher's nozzle in a side-to-side motion until the flames are out. Make your ice coffee even better (and stronger) by freezing coffee in the ice cube trays and use instead of ice. It's getting warmer, don't leave your pet in the car. It gets too hot too soon! Taking your 'best friend' with you on a long walk or hike? Remember dogs get much thirstier than we do when they get hot. Other than panting they really have no way to cool themselves down. Make sure you allow plenty of breaks for shade and water stops. Check the ground around the foundation of your home and re-grade it if necessary. Springtime! Sun & warm (hopefully!). Allergies? Try getting a good quality home air purifier, run it in your bedroom so you can get a good night's sleep! Indoor Air Professionals is a great company to contact! 585-427-8020. Mosquito bites can ruin a good outdoor event. If the itching gets unbearable it's best to use a cortisone cream. A Cortisone (or steroid) cream work by constricting the blood vessels and reducing the inflammation that's at the root of the itchiness. Keep a tube in your outdoor bag so you have it when you really need it! Vacuum out air registers to remove dust and debris. Use salt for your margarita and throw some over those dandelions growing in your yard! Look over your gas grill - spiders, chipmunks, etc. could have built a nest which could block it from functioning and cause a fire or an explosion. Would you like to plant some herbs this year? Two of the most popular herbs are Parsley and Basil. Parsley can withstand a hard frost. That won't happen again will it?? If you want to plant basil wait until the threat of a frost is completely gone. But be sure to plant basil...it is rich in vitamin K, A, potassium, and calcium! Found this tip but haven't tried it yet. What a great trick if it works!! 'You can sprinkle a thick layer of baking soda around paving stones to kill plant life between the gaps'. Do you know if your home has radon? Might want to have it tested. Use a starter fertilizer whenever you plant anything. Starter fertilizers can provide a tremendous boost to new plantings! Check your vehicles' registration & inspection stickers! Don't get too anxious to get that garden started! If the soil is too wet and you begin planting you could be compacting the soil too much. Wait until it's dry. If you grab a handful of soil and can squeeze it into a 'blob' it's still too wet! Don't rush...LATE spring and summer are classic exterior painting months. Precipitation is low and temperatures are warm which helps the paint cure at a proper rate. Keep up on your sidewalk/concrete maintenance this spring. Fill cracks with a concrete crack filler or silicone caulk. When weather permits, power-wash and then seal the concrete. Most people put a collar with a leash on their dog. But a harness makes so much more sense, no chance of the dog pulling out of the collar, much less pull on their neck. There are strap type and cloth ones-which would be comfortable! While you can choose any finish to paint an exterior door, glossy paints are typically preferred because they stand out and tend to stand up to nicks and scrapes better than flat or eggshell paint. Another tip is to remember that the type of primer you use needs to match the type of paint you use (latex or oil-based). We definitely love and welcome warmer weather! However, keep in mind not to take your pet in your car and then go into a store, leaving them in the car. Try a short time yourself sitting in a closed or slightly opened windows vehicle without it running. See how quickly it gets too warm, don't do that to your pet! Determined not to spend all spring and summer cleaning and recleaning your windows? Try this: Clean windows with 1 drop of blue Dawn dish soap mixed with warm water then apply Rain-X Original, wipe dry and your windows (auto and home) should stay cleaner much longer! Stumped about what to do with that stump in your yard? Drill some holes about six or eight inches deep, fill with dirt and plant flowers to create a beautiful flower bed incorporating your previously unsightly stump! You're getting a 'little' up there in age, may need to re-think some things around the house. If you're planning on some remodeling did you know? You can change the height of your kitchen counters? Lower to possibly get in close with a wheelchair, etc. Bathroom remodel? How about a walk-in shower? Easier if you have problems with your knees or legs so you're not trying to get over a tub or ledge. Who doesn't hate cleaning blinds?! Mix equal parts vinegar and water. Take an old (clean) sock and put it over your hand. Now dip your fingers/hand in the mixture and slide the sock along the blinds. Both sides at once! It doesn't get any better than that! Winter damage or potholes in your gravel driveway? Widen the pothole a bit and then fill in the hole with layers of gravel. Compact each layer as you go. MOVE! Only kidding, somewhat. We have to start getting some better weather, problem is it's not good in most of the country! So in the meantime, do interior maintenance, have you had your duct work cleaned? Need painting? A nice fresh coat of paint makes all the difference in brightening your mood and the room! How about some new light fixtures? Look around at what you can do to spruce up the interior so you'll be ready to move to outdoor work! "I bought a Moen strainer from (a big box store); took it home; installed it..the strainer leaked. I went through 4 Moen strainers from (the big box store). Frustrated, I took the last strainer down to Moen depot nearby; picked up a new one; installed it into the sink and the leaking stopped. I measured both strainers. The strainer from (the big box store) was 1/16 of an inch smaller than the Moen depot strainer. The moral of the story-----GO WITH THE ORIGINAL!!!!!!" We will have nice weather--eventually,,,(?) Time to clean up your yard, pick up all the branches, rake the yard to smooth it out, get some topsoil to fill in dips and holes, plant grass seed so it'll be ready to grow! Of course, then you'll have to mow!! Give your plants, trees, and shrubs an extra boost of nutrients with a homemade egg shell powder! Make yourself a big breakfast (not actually required!) and put the egg shells in the blender then sprinkle the powder around your plants! If you are repainting a, door for example, you need to use the same type of paint as what is on it now. You don't know or can't remember what type of paint you used years ago? Determine what finish exists by rubbing it with a denatured alcohol soaked clean rag. If paint comes off, it is latex. If not, it is oil. Take a thorough walk around your house, look at the grading, is the dirt sinking toward the house? That will cause water to flow into your basement, get some topsoil (or hire it done) and fill in to create a positive grade away from the foundation. Pet smells in your furniture? Buy an extra box of baking soda this week and sprinkle it on the furniture (I know this just feels wrong but do it anyway). Come back in a half hour or so and vacume the furniture. Ah, much better! The kids have the glitter out again...it will be everywhere but on their project...again. Clean the scattered (spilled) glitter with a piece of tape or a roller brush. Did you know that radishes, peas, lettuce, broccoli, and cauliflower survive frosty weather? If you're anxious to get started and the ground can be worked go ahead and get these planted! Did you know you can put your sponge in the dishwasher to get it nice and clean again? A sponge picks up a lot of bacteria, try popping it in the dishwasher every few days and keeping it bacteria free! The winter was a cold one! Now is a good time to examine the exterior of the chimney for signs of damage. Have the flue cleaned and inspected by a certified chimney sweep. Out of window cleaner? Mix rubbing alcohol and water (50/50) to make a homemade cleaner that really shines! Afraid to use your oven's self cleaning option? Many people are! If you prefer, try this: Remove the wire oven racks and set them aside. Make a paste with baking soda and water. Use an old sponge with an abrasive pad to rub the baking soda paste over the sides and bottom of the oven. You can either leave it overnight or sprinkle vinegar on it and when the fizzing stops wipe it clean with a cloth. It's been noted that the item in a hotel room that has the highest germ level is the t.v. remote control. Apparently the remote rarely, if ever, gets cleaned but is used by most guests. Keep a pack of baby wipes in your suitcase and wipe the remote control down before you use it! Is the mouse outsmarting you? Mice scurry around the perimeter of rooms close to the walls where their whiskers help them navigate. Place mouse traps along walls where the mice travel. Face the bait and trigger end of the mouse trap so it is facing the wall. The easy way to clean an artifical house plant: Give the leaves a quick wipe with a baby wipe, it will remove dust and get that brilliant sheen back! A good post-winter maintenance tip is to check for loose or leaky gutters. Improper drainage can lead to water in the basement or crawl space. Make sure downspouts drain away from the foundation and are clear and free of debris. Stain on your vinyl siding? Most household cleaners are safe to use (Simple Green, Armour All, etc.) but be sure to spot check any general or stain cleaner before using it. After cleaning be sure to rinse thoroughly with water. Do not use cleaners containing undiluted chlorine bleach as it can affect the surface of the siding. Now's the time to get your pet to the vet for a check up, test for heartworm & get on preventatives. Sprinkle inside of sneakers with baking soda and let them sit for hours (overnight is perfect) then brush all loose dirt and mud off, wash with a load of towels using the cold water setting and liquid detergent. Allow to air dry. Tired of cleaning spots off the faucet? Clean it as usual and dry it. Now rub some wax paper over it. The wax paper leaves a residue you can't see and it will keep water spots from showing. Washing your vehicle before winter is over might seem counter-productive since it’s just going to get dirty again BUT road salt, snow, and moisture can cause rust on a car, and once rust starts it’s hard to stop. Pick a day when the temperatures are moderate (high 30’s or low 40’s) and get to the car wash! When someone tracks mud into the carpet don't be too quick to clean it up. Let it dry first. This might seem counterintuitive but the mud will be much easier to remove dry and you want to avoid rubbing the mud deeper into your carpets fibers. Take time for yourself! The best way to get things done is if you're refreshed and ready to go! During your busy hectic day take a few minutes to regroup, breathe, even if you have to hide in a closet! Now that the snow is off the roof and spring is on its way it's a good time to examine roof shingles to see if any were lost or damaged during the winter. Is there a musty scent or odor coming from your furniture? Eliminate smells from chairs, couches, mattresses and even pet beds by sprinkling surfaces with baking soda, let it sit for 15 minutes, then vacuum it up. It's always a good idea (especially in the winter) to be sure you refill prescription medications in advance so you don't run out and have to worry about getting them filled at the last minute. You never know what the next day will bring. Be prepared! Clean or change your furnace filter. Dirty filters can dramatically reduce the heat production ability of a furnace. Out of laundry detergent? You can use dishwashing liquid for laundry (Dawn brand is excellent for this) but because it produces a lot of bubbles you don’t have to use very much, just use about an 1/8 cup and add to your washing machine just like you would regular detergent. Always clear your vehicle of snow before heading out. You will see better and other drivers will see you! Massaging petroleum jelly or other paw protectants into paw pads before going outside can help protect from salt and chemical agents. Check the air pressure in your tires. Cold weather causes the pressure to lower. Don't forget that you can run your ceiling fan on low with the paddles reversed (clockwise when looking up) to circulate warm air during these cold days! Onion Quick Fix: Don't peel the whole onion when you only want one slice. Slice through the middle of the onion, cut a slice, put the two parts back together wrap and refrigerate. Light therapy boxes can offer some treatment for seasonal affective disorder. Seasonal affective disorder (SAD) is a type of depression that occurs each year during fall and winter. Eat foods that are high in Vitamin D, maintain hobbies, and get outside and try to get some sun! When the rain freezes on the road, that's black ice. It's there on the road, but you can't see it. You may not see the danger until you are in it. Reduce your speed and proceed with caution! Protect your hands, Make sure snow cannot get inside of your boots or clothing, Keep yourself hydrated! Dress for the cold! Use many thin,layers rather than a few thick layers. It will insulate better and allow you to remove layers if the temperature climbs. Cold Feet?- Try wool socks! Stay Warm! If you are using a space heater place it on a level, hard surface and keep anything flammable at least 3 feet away- things such as paper,clothing, bedding, curtains or rugs. When you lift snow,pick up small amounts and lift with your legs, not your back, Do not toss snow over your shoulder or to the side. Clean your humidifiers regularly during the heating season. Apply salt to your sidewalks and driveway before it snows. This will help keep them from icing over when the snow or ice hits the treated areas. Every wonder how to get rid of rust spots on floors, patios or porches? The acid in lemon juice will dissolve rust. Cut the lemon in half, squeeze the juice onto the stain and let it soak in for about 10 minutes. If the stains have been there for a long time you might have to scrub with a hard bristle brush. Rinse off the lemon juice and rust with clean water. This tip is for a slow-moving drain not a fully clogged drain. Pour a cup of baking soda into the drain then heat up a cup of vinegar and pour it on top of the baking soda. Wait 10 minutes. Pour a pot of boiling water down the drain. This works wonders! Cold Weather Tip: Warm air rises to the ceiling. Run your ceiling fan on its lowest setting in a clockwise direction. to push the warm air back down to where you can feel it. Stay warm! Heating and cooking equipment that burn fuel are potential sources of carbon monoxide. Make sure your home has a carbon monoxide alarm! It's baking season...keep the chocolate chips and blueberries from dropping to the bottom of the muffins by coating them with a spoonful of flour before adding to the batter. This helps the add-in to adhere to the batter and prevents them from sinking. If you're using frozen blueberries the flour also minimizes how much the berries bleed into the batter. No one wants to admit when they see mildew or mold in their bathroom shower but it can easily happen. Put hydrogen peroxide in a trigger-spray bottle, spray it on and let it sit for about 5 minutes. It will kill the fungus and clean off easily. To clean your coffee grinder: Put a 1/4 cup of rice in your coffee grinder and grind for about a minute, the oils should cling to the rice, leaving behind just a dusting of rice flour. Dump out the flour and wipe with a damp cloth. Check your home’s exterior doors for cold air leaks. Do this from inside the house. Move a lit candle around the door frames and if the flame blows toward you there is a draft. Seal with foam or felt weatherstripping inside the door frame. Has your faucet started dripping and you can't get it fixed immediately but the sound of the dripping is making you crazy? You can stop the sound of dripping water by tying a long string around the end of the faucet. The water will drip on the string and run down silently. Winter Weather Tip: Check insulation around exterior pipes that are exposed to freezing weather to be sure that water cannot seep under the insulation. Having all the tools and cleaning products you need in a caddy or bucket saves you a ton of time walking back and forth to the cabinet or under the sink. Use a leaf blower to remove leaves along foundations. Removing leaves helps eliminate hiding places for rodents to get into your home. Allow some leaves to remain under shrubs to provide winter cover for beneficial insects. Are you tired of your salad greens 'expiring' before you've had a chance to use them up? After washing and drying the greens lay them out on paper towels and then roll it up and place it in a plastic bag. Press out as much air as possible and seal the top, and of course refrigerate. The paper towels absorb moisture and keeps the greens from wilting, getting 'slimy', and 'expiring' as quickly. When the power window won't go down because it's frozen shut DO NOT keep pushing the button. If you keep trying to roll the window down you can damage the window motor which can be an expensive repair. Some say you can slide a credit card between the window and strip to help break the ice up but the best thing to do is just wait until the vehicle warms up! Fill up when your gas tank is half-full .The more gas you have in your tank the less air there is and gasoline evaporates rapidly. Keeping half a tank is also good in case of emergency. Washing hands with soap and water is the best way to reduce the number of microbes on them in most situations according to the cdc. If soap and water are not available, use an alcohol-based hand sanitizer that contains at least 60% alcohol. The Amercian flag should be displayed on all days but especially on: New Year's Day, January 1; Inauguration Day, January 20; Martin Luther King, Jr.’s birthday, the third Monday in January; Lincoln's Birthday, February 12; Washington's Birthday, third Monday in February; National Vietnam War Veterans Day, March 29, Easter Sunday (variable); Mother's Day, second Sunday in May; Armed Forces Day, third Saturday in May; Memorial Day (half-staff until noon), the last Monday in May; Flag Day, June 14; Father's Day, third Sunday in June; Independence Day, July 4; National Korean War Veterans Armistice Day, July 27; Labor Day, first Monday in September; Constitution Day, September 17; Columbus Day, second Monday in October; Navy Day, October 27; Veterans Day, November 11; Thanksgiving Day, fourth Thursday in November; Christmas Day, December 25; and such other days as may be proclaimed by the President of the United States; the birthdays of States (date of admission); and on State holidays. Old ice absorbs food odors, clean and sanitize your icemaker or cube trays twice per year .Wash the bin and ice maker with vinegar, or put the bin in the dishwasher if your manual says it’s safe to do so. Wipe the ice maker with a dry rag to remove moisture. Use Pool Noodles cut in half to keep your boots upright and dry. When you are sure you won't be using your outside hose anymore drain and store it for the winter. Install insulating covers on all exterior spigots. Water-based exterior paint requires certain conditions to cure properly, or you’ll be repainting your house sooner than you planned. “It should be at least 50° F when applying the paint and shouldn’t drop below 32° F at night for several days after,” says Rico DePaz, the paint pro at Consumer Reports. The conventional wisdom that you should idle your car up to operating temperature comes from the days of carburetors, which needed several minutes of idling to get to an operating temperature where they'd run smoothly. With fuel-injected engines, the ECU can adjust itself to idle perfectly even in sub-zero weather. But what about being toasty warm? Start it up, make sure all your windows are clear of ice/snow/fog, and just drive, the engine will warm up faster, and therefore you'll get nice warm heat coming out of the vents sooner. How often should you water Succulents? Rather than giving small amounts of water frequently, give them a good soaking. Let the soil dry out completely before watering again. Wish you could be more productive? Prioritize! There are usually only one or two things that absolutely must get done, do those things first. You'll get the most important things done which is a win! And it will usually motivate you to keep going! Win-Win!! Check your roof for problems before cold weather hits! Check for loose shingles and make any necessary repairs now. Don’t forget to check your gutters while you’re on the roof. By replacing summer sheers with winter drapes, you can cozy up and actually save on your heating bill. Winter drapes have a liner that repels cold air and temperature from the glass window panes. Get outside and stay active. As you are preparing for winter don't forget to empty soil from pots and planters. Dirt left in clay pots will freeze and cause the pots to crack if left outside. As the temperatures get cooler rodents will try to find shelter inside and homeowners often turn to rat and mouse poisons. Please remember these products are highly toxic to pets and, if ingested, the results could be fatal. Use with extreme caution and put them in places inaccessible to your pets. Anti-freeze is known to taste sweet to cats and dogs. Make sure to check your car for leaks and make sure all bottles are stored far away from your pets. Quick Tip for cleaning rust from Chrome. Scrunch up a piece of tin foil and dip into cold water. Rub gently to remove rust. Dry with a towel. Now that it's getting closer to winter take the time to inspect external doors and garage doors. If they don't seal tightly install weather-stripping or even door thresholds if needed. *Draw a map of your home with all members of your household, marking two exits from each room and a path to the outside from each exit. *Practice your home fire drill twice a year. Conduct one at night and one during the day with everyone in your home, and practice using different ways out. *Teach children how to escape on their own in case you can’t help them. *Make sure the number of your home is clearly marked and easy for the fire department to find. *Close doors behind you as you leave – this may slow the spread of smoke, heat, and fire. Once you get outside, stay outside. Never go back inside a burning building. Work Smarter, not harder when raking leaves. Rake your leaves into small piles onto a tarp or a piece of plastic, then drag that pile to your main pile or compost. Enjoy the fall weather by raking leaves! While the temperatures are still decent take the time to caulk around windows and door frames to prevent heat from escaping when the temperatures are not so decent! October is Fire Safety Month make sure everyone in your home knows how to use a fire extinguisher. Sweep the discharge stream at the base of the fire. Before you turn your heat on for the season take a quick walk through each room and make sure the heating vents aren't blocked by anything. Keep a cardboard box in your laundry room for clothes that need to go to the thrift store. When sorting the laundry toss in the clothes kids have outgrown, or you have gotten tired of. When it's full, put the box in the car and drop it off at a local shelter or thrift store. We can't say it enough. Clean Your Gutters! Leaves cause clogged gutters which then can form ice dams in the colder months. Drainage becomes a problem and the next thing you know you have leaks that can cost you a great deal of money. Clean Your Gutters! You'll be putting your heating system to the test before long. Now is the perfect time to schedule a heating system check up. Soon we'll really begin to notice the shorter days and therefore less daylight. Now would be a good time to install some lighting along your walkway. Solar push in lights are fairly inexpensive and can be very helpful when you return home on those dark evenings. Even in nice Hotels, TV remotes tend to be highly contaminated. Slip the remote into a ziploc bag to keep the germs away. The buttons and signal will still work. This summer like weather won't last forever. Now is the perfect time to have your chimneys and flues inspected (and cleaned if necessary). To ensure that your refrigerator is doing its job, it's important to keep its temperature at 40 °F or below; the freezer should be at 0 °F. We all know we're supposed to keep the lawn mower deck high in the summer but come fall drop it down as low as it’ll go without scalping the turf. Short grass gives leaves less to get caught on and the mower will chew up any leaves that have already fallen. It's the season for campfires. In September it gets darker earlier, which is great for gathering around the campfire for some stories. Clean an empty wipes container (baby or cleaning product) and then use it to store your empty plastic grocery bags. If you are really crafty you can cover the container with contact paper and line the bags up end to end so they actually feed through the slots! Clean your gutters at least once a year and more often if you have overhanging trees. Once you've cleaned the debris, flush the gutters and downspouts with a hose. This completes the cleaning but also serves to locate any leaks/damage in the gutters. Moss between the pavers? Moss has no roots so you can easily brush it off with a stiff bristle brush. If there is a large area to scrub get a stiff bristle broom. To prevent moss from returning you can spray the areas with a bleach solution : 90% water 10% bleach, but be sure to do a spot test first to make sure it doesn't discolor the pavers. Tips for Daylilies: Just after the flowers fade in early fall is the best time to divide and transplant day lilies. Before the move, cut the foliage back to 6 to 8 inches high. This will make the plants easier to work with while still leaving enough foliage to provide energy to the roots. After the transplant, leave the remaining foliage until it dies back. A fall tip for gardeners - use golf tees to mark perennials so when they have gone dormant you'll still know where they are! Once the garden has been picked for the last time add organic amendments (homemade compost, manure, blood meal, bone meal, cottonseed meal, greensand, etc) to improve the long term health of your soil. By adding them in the fall, they have time to break down into a form that plants can use, just in time for spring! Are you a little ocd about closing apps as soon as you finish using them? Research shows that this can actually make your battery life worse if you do it on a regular basis. When you open an app your device has to load it into the memory which can use more battery life than leaving it open. This is especially useful for people checking social media over and over, just leave it open! Deadhead Black-eyed Susans weekly during the blooming period, which lasts from early June until October. Remove each spent flower to encourage the plant to produce more flowers. To keep your refrigerator running as efficiently as possible vacuum the refrigerator coils at least twice a year. Habits may be hard to break but don’t deadhead or fertilize anything that won’t make it through the cold months. These practices encourage growth which you should wait until spring to do again, now is the time to simply prune as needed. It's only a couple weeks before the kids head back to school. This is a good time to begin the adjustment back to a school year bedtime routine. If spiders are a problem in your basement (or anywhere) fill a spray bottle with water and mix in 15 to 20 drops of peppermint oil. Spray down all the cracks and corners of the room (or rooms) and you should find this eliminates your spider problem. Odor absorbers like baking soda, charcoal briquettes, and kitty litter are all effective to help eliminate those musty mildew smells that may pop up in certain rooms of your home. The permanent solution is to find the source and remove it (boxes of clothing, papers, many things will get damp and hold the dampness) but in the meantime place a container in the offending room and change it every month. To get rid of fruit flies or gnats mix two tablespoons of vinegar, 1 tablespoon of sugar, a few drops of soap, and 4 cups of water in a container. Mix it well then place the container around the area where you see the most gnats. Place a sock containing cat litter in musty closets or smelly shoes to eliminate odors. Every time it rains the windows get dirty again! Try this. Clean the windows with an equal mixture of vinegar and warm water. If you want to take it a step further you can even apply a glass sealant to provide an invisible barrier between a window's surface and dust, dirt and other air pollutants. If ground bees have become a problem in your outdoor area try to find the entrance to their nests and spray it with water. The entrances are small piles or patches of bare soil. If the entrance to their nest gets wet they will move to another area as they prefer dry soil to nest in. GRILL YOUR MEAT TO THE PROPER INTERNAL TEMPERATURE. For Maximum tomato yields always stake or cage your plants. Rust marks on stainless steel? Just a small amount of lighter fluid on a rag to rub the rust away. Wipe with a clean rag to remove any lighter fluid residue. Tip for getting rid of Fruit Flies- Vinegar and dish soap. Add three drops of dish soap to a bowl of vinegar, and leave it uncovered. The soap will cut the surface tension of the vinegar so the flies will sink and drown. Tired of seeing water stains on the ceiling tile? Try mixing 2 parts bleach with 1 part water in a clean spray bottle. Spray the stain and then wait for at least 30 minutes. You may have to repeat this process a few times until the stain disappears. Is your garden producing more summer squash or zucchini than you can eat? Be generous with your friends and neighbors and then be creative with what is left. If you type either in to Google you will find LOTS of great and easy recipes! Grill Safety: Inspect the hoses on a gas grill for cracking, brittleness, holes and leaks. Make sure there are no sharp bends in the hose or tubing and that all connections are secure. Replace if necessary. Keep the grill hoses as far away as possible from hot surfaces and dripping hot grease. Pack the rubber folds of the gasket with paper towels soaked in hydrogen peroxide. Leave it to soak for a few hours before wiping down clean and dry. Use a paper towel soaked in hydrogen peroxide to wipe around the opening of the machine. Try to get between the tub rim and top edges, and all the areas that the water can’t get to. Place pots of herbs such as basil, mint or lavender around your patio or deck to help eliminate pesky flies. Flies dislike the fragrance of these herbs! Clean out your window wells. Debris can accumulate quickly. A listener is suggesting a solution for carpenter ants. Look to ePestsupply.com, KM ant pro liquid ant bait station with gourmet liquid ant bait, and Advance carpenter ant bait. Apparently they work better than ant hotels, etc and sprays. The queen needs to be killed. Also, ants will come in from other areas, so you just need to repeat and put in other areas. Work on tiny ants also. We haven't tried it, but hey, it's worth a shot! Are you pruning your tomato plants? Don't forget to spend a few minutes removing unneeded growth tips (the new growth–the small leafy-bud growth–located in the “V” or crotch between two stems). This type of pruning allows the tomato plant to 'focus' on the development of the tomato rather than the plant which results in better flavor, larger growth and overall healthier tomatoes. 3 ways to add Curb Appeal to your home. Paint the front door, Upgrade your mailbox and Install new house numbers! Apples turn brown when they are cut because the enzymes and iron phenols in the fruit oxidize when exposed to air. If you or your children prefer an apple sliced but you don't pack them in the lunch box because of the browning try this: slice the apple and then place a rubber band around it to hold it tightly together. When it's time to eat remove the rubber band and you have a nice fresh sliced apple! For several days prior to aeration, water your lawn until you can easily push your finger roughly one inch into the ground. If the ground is hard, the aerator won't be able to penetrate the soil. Water your plants with leftover brewed coffee! Coffee contains potasium, calcium,nitrogen, phosphorus and other minerals to boost plant growth. Does everyone in the family know how to use a fire extinguisher? Make sure you have one, make sure it's accessible, make sure everyone knows how to use it and finally make sure you check it to see that the gauge shows adequate pressure and that it has no visible signs of wear and tear. If you have a dehumidifier, turn it on when the temperature rises. Ridding your house of humidity will make you feel a lot more comfortable and could save you money but not having to keep your air conditioner set too low. This seems like common sense but in the hectic busy days of summer sometimes a reminder is a good idea...Always supervise the activities of small children around a pool and remove dangerous chemicals such as chlorine from areas where they can be accessed by children or pets. Take care of weeds in between sidewalks and pavers by spraying with vinegar. Put some vinegar in an ice tray and let it freeze. Then run the ice cubes through the sink garbage disposal. This serves two functions, it freshens the garbage disposal and the ice sharpens the blades. *Do not wear loose clothing while using fireworks. *Never light fireworks indoors or next to dry grass. *Point fireworks away from homes. *Closely supervise children at all times. *Little arms are too short to hold sparklers, which can heat up to 1,200 degrees. Option: Let your young children use glow sticks instead. Over the summer months, dirt, mold, pollen and tree sap steadily accumulate on your siding. Take the time to powerwash your siding. Not only is it unsightly but left unchecked it could shorten the life of your siding. Top 5 Survival Uses for a Bandana 1. A Signal Flag, 2. A Bag, 3. A Tourniquet, 4. Cordage, 5. A Breathing Mask. Wi-Fi Tip: Be aware of all the devices connected to your home network, including baby monitors, gaming consoles, TVs, appliances and computers. Make sure they are all protected by a strong password Check for updates periodically on each system. How to pick strawberries …… Grasp the stem just above the berry between the forefinger and the thumbnail and pull with a slight twisting motion. Wallpaper on one Wall adds drama to a dull room with less effort and expense than covering the entire room. Choose a bold pattern that can make a statement! Plant groundcover around trees to minimize trimming time. Suggestions are: Ajuga, Lungwort, creeping juniper,periwinkle and pachysandra. With the weather getting nicer and summer vacation on its way, now is a good time to check the kids outdoor play sets. If you see mold clean it with a solution of 1 part bleach to 9 parts water. Tighten bolts and make sure things are still properly put together and safe to use. Check for sharp edges and splinters. If you plan to resurface your driveway the warm summer months are the best time to do so. Cornell Cooperative Extension reminds us of this tree pruning tip: Rapid healing of a wound occurs when cuts are made nearly flush with the adjoining branch. When stubs are left, healing is prevented, and the stubs die back leaving entry for disease and rot organisms. Prevent insect infestation by keeping the basement and attic dry and well-ventilated. Ultra-Violet Rays are the greatest in the late Spring and Early Summer in North America. Protect yourself by wearing a hat, sunglasses and sunscreen. IDEAL PLANTING DISTANCE FOR SHRUBS. The closest a medium-height shrub should be to your home is 3 feet, but a tall shrub should be planted at least 5 feet from your home. SAFETY DRIVING TIPS FROM THE NHTSA Stop along the way to take a group stretch, get something to eat and drink, return any calls or text messages, and change drivers if you’re feeling tired or drowsy. Consider staying overnight at a hotel or family resort. Not too long now and you'll be cranking the A.C. Take the time to have your air conditioning unit serviced before you put it to the test! According to STIHL you shouldn't put your power tools to work immediately after a season of storage. They suggest you let them warm up for a few minutes before their first use of the year. Damp lawn ? Should you mow or not? If it sinks as you walk, it is too wet to mow. It is never safe to use an electric mower with an extension cord when mowing wet grass. Your mower blades need to be very sharp. If you meet all of those conditions and the grass is getting high you are free to mow that damp lawn. It is important to regularly leak test your BBQ gas bottle, regulator and hose. Leaks from these items are frequently the cause of BBQ gas fires. Spray or brush a soapy solution on the gas value, the hose and the regulator. Stand back and take a look. Soap bubbles will instantly form and grow if there's a gas leak in any of the components. Drinking a single cup of coffee, hot or iced, daily may lower your risk of developing skin cancer. In one study of more than 93,000 women, published in the European Journal of Cancer Prevention, those who drank one cup of caffeinated coffee a day reduced their risk of developing nonmelanoma skin cancer by about 10 percent. And the more they drank—up to about 6 cups or so per day—the lower their risk. Decaf didn’t seem to offer the same protection. Info found at www.eatingwell.com. Paint the inside of your new metal garbage can's bottom with asphalt roofing sealer and the container should last ten years or more. and pistachios (49 nuts; 6 grams protein, 13 grams fat). Rain-X works well on vehicle windows but don't stop there. Try it on your windows at home, on the shower door, and on the mirrors! You'll be surprised how easily they clean and how long they stay clean! Remember to test each smoke alarm in your home at least once a month to make sure that they are working properly. You know the trick about cutting the bottom off of fresh flowers as soon as you get them right? Same goes for asparagus. That's right! Cut the bottom off of the asparagus spears and place them in a container of water. They'll stay fresh in the fridge a long time that way!! Never let a contractor pressure or bully you into signing a contract at the first meeting. Get at least three estimates and take the time to review all estimates. Here is a general rule of thumb on when to prune your shrubs: For shrubs that flower in the spring, make your cuts in late spring and early summer. For summer blooming shrubs, prune in late winter, before the leaves arrive. It is okay to remove dying and diseased wood year-round. Before you power wash the house this year be sure to cover all nearby plantings with a plastic dropcloth. Spring is a good time to check your vehicle's wiper blades and replace if they are torn or cracked. When someone walks across the carpet with muddy feet - refrain from immediately cleaning it! Let It Dry. It is much easier to clean if you allow the mud to dry...as hard as that might be! Is the exterior paint on your home beginning to flake and peel away? Check around the trim of your windows and doors. If the paint is peeling it will leave bare wood exposed. Repainting will help protect the wood from the outside elements and save it from damage or rotting. House Hunting Tip: You may have seen how the neighborhood looks in the daytime during a weekday, but what's it like at night? What about on the weekends? Making several visits at different times of the day will help you develop a better feel for the character of the neighborhood. If you haven't done it yet it's time to pull out all the lawn equipment and start getting ready for the spring and summer months! Unplug the old spark plug, drain the old gas and oil, remove the old air filter and replace it all with new. And don't forget to sharpen or replace the lawnmower blades. Clean screens by removing and gently scrubbing them with a medium-stiff bristle brush and a little soapy water then rinse with a hose. Determined to keep the rabbits out of the garden this year? Install chicken wire (with one-inch or smaller mesh) at least 2 feet high. Bury at least 3 to 6 inches and bend the buried portion away from plantings. Stuck in traffic and feeling hungry? Keep nuts in your glove compartment. High protein nuts will keep you from stopping for junk food! It's mud season. Trim the hair around your pup’s paws regularly — mud won’t clump to his feet when the hair is kept short. Better for your pet...better for your floors! Begin your gardening season with clean sharp tools. It will not only make the job easier but will help prevent the spread of garden diseases and pests that may be hiding out in the soil. "Summerize" your fireplace when you are no longer going to be using it. Clean out the ashes and close the damper to prevent drafts or animals from entering your home through your chimney. What to do with all those tree branches in your yard? Make a teepee or trellis and plant morning glory seeds, honeysuckle or a clematis vine for a focal point in your garden. For proper drainage, the soil around your home should follow the “6 in 10” rule: six inches of ground slope in the first 10 feet next to the house foundation. • Keep ahead of the weeds. • Prune flowering shrubs when they finish blooming. Thinking about starting your garden from seeds this year? Don't start too early. According to the Farmer's Almanac most vegetables should be started indoors about 6 weeks before the last frost in your area. When making a major purchase, do your research, check out reviews online-not on their website, find out all you can first. Septic tanks should be pumped out every three to five years. Clean the window casing, sill and track, once in the spring and once before winter. Vacuum, then scrub with soap and water. Q-tips can be helpful to get in those hard-to-reach places. When your windshield wiper blades get dirty they leave streaks instead of keeping the windshield clean and clear. Make a solution of 1/4 cup household ammonia to 1 quart cold water. Gently lift the blades and wipe both sides with a soft cloth or paper towel soaked in the solution. No one likes cleaning blinds. Here is an easy way to get the job done: Take off the blind track at the top of your window - Pull them down - Soak them in a bathtub of soapy water - wipe them down - Set them on a towel to dry and then hang them back up. Easier than wiping blind by blind! Think Spring! Plan ahead now for a small garden attached to your fence. Turn pieces of gutter into containers for an herb garden or leafy lettuce. Most of us clean the dryer lint filter after every load, which is good, but how many also clean the vent pipe? Make it a habit to clean the vent pipe at least once a year. Here is an easy roof check tip for peace of mind. Right after a heavy rain head up into the attic and do a visual inspection of the underside of the roof. Look for signs of damp spots or drips. It's always advantageous to find an issue before it becomes a major problem. It's a lot of work but it makes a world of difference: clean your tile grout lines with a scrub brush using a mixture of baking soda and white vinegar. Your cell phone is a breeding ground for germs and bacteria. Use cotton swabs and rubbing alcohol to disinfect your phone. Is this the year to power wash your home? How often you need to power wash will depend on the climate in which you live. Generally speaking it is a good idea to power wash every two years. Pizza boxes can now be recycled! – just dump out the crumbs before recycling. If your community doesn’t yet accept whole pizza boxes, HALF is better than none, so tear off the grease-free top and put it in the bin! Ceiling fans not in use accumulate an awful lot of dust. For a quick and easy clean, dampen a used dryer sheet and rub it across the surface of the blade. For each degree you turn down the thermostat during an eight-hour period, you can reduce your heating bill by about 2 percent. Do you think sorting and folding socks is the worst part of laundry? You'll laugh at this tip but seriously it makes sense. Throw all your socks in a bag to save for rags. Buy a whole new set in only a couple of colors that you wear the most. MAKE SURE THEY ARE ALL THE SAME BRAND AND SAME STYLE. Now all you'll ever have to do is throw them in the sock drawer. When you're getting dressed you just grab two of the same color. They will always match! Think about it! It makes sense! It saves time and frustration! To Clear a slow drain. When you notice your drain is starting to clog pour a 1/2 cup of baking soda , followed by a 1/2 cup of vinegar. Cover with a wet cloth. Wait five minutes and then flush with hot water. Compile a home inventory of all your prized possessions for insurance purposes. Every homeowner should have a home inventory! Document your list with photos or videos. When you are finished store your list somewhere other than in your home! Make an extra copy and give it to a friend or family member. It's still flu season! Use Lysol Wipes or Clorox Kitchen Disinfecting wipes to clean your computer keyboard and mouse. Be sure to squeeze the wipe before using to get rid of excess liquid. Unplug the keyboard or turn the computer off. Wipe the keyboard and mouse. Wipe with a damp soft lint free cloth. Then dry with a dry soft lint free cloth. Do not use cleaning wipes with bleach. Natural tip: Cut an onion in half and place in a bowl to absorb bad smells and bacteria from the air. Clean your brick fireplace! Wipe the bricks with a damp cloth dipped in 1 cup white vinegar mixed with 1 gallon warm water. Tip for Muddy Dog feet: Keep a shallow pan filled with water at your backdoor. When its time for them to come back inside have them stand in the water for a few minutes then towel dry their feet. No more muddy paws. When it rains, a dirty windshield turns into one big mess. Get rid of blotches by pouring cola over the glass. (Stretch a towel along the bottom of the windshield to protect hood paint.) The bubbles in the cola will fizz away the grime. Then rinse away the rest. Before you know it, tax time will be here! Especially if you own a business, March 15th is your due date. Your accountant will want it in at least by February 15th. So, now's the time to get your paperwork together! Keep your pets warm in this cold weather. They feel the cold too. Plenty of water and clean dry straw if they have to be outside, along with insulated shelter. Protect your pipes. Run water, even at a trickle, to help prevent your pipes from freezing. Open the kitchen and bathroom cabinet doors to allow warmer air to circulate around the plumbing. Keep the garage doors closed if there are water lines in the garage. Windy Weather may cause downed power lines. If a line falls on your car, stay inside, Do not touch any part of the metal frame of your vehicle. Honk your horn, roll down the window and ask someone to call 911. Do not exit the car until help arrives, unless it catches fire. To exit, open the door, but do not step out. Jump without touching any of the metal portions of the car's exterior, and quickly get to safe ground. We've had some snow & ice, so did you notice the areas of your roof or gutters that will be a problem for ice build up? Good time to review and be proactive to take care of those areas. Avoid Champagne Cork eye injuries by remembering the number 45. Chill your champagne to at least 45°F, this will make the cork less likely to pop out unexpectedly. You should hold the bottle at a 45-degree angle, pointing it away from yourself and others. If all goes well, you'll have a cork in one hand, a full bottle in the other, and no injuries in sight. It's a good idea to identify the location for the main water shutoff in your home. Make sure each family member knows where it is and how it works in case they have to use it. Grease stains on your clothes? Coke in the fridge? You've got this. Coke has grease-busting abilities thanks to the phosphoric acid in the drink. Pour a can of coke in with your laundry along with the normal amount of detergent and run it through a regular wash cycle. Tougher stains than that? Apply the cola directly to the stain and let it soak for 30 minutes. Run it through a regular wash cycle. WINTER SAFETY TIP- Navigate Icy sidewalks and parking lots by keeping arms free, wearing proper footwear and walking like a penguin with feet turned outward. Take your time. Change your furnace filter at least once every 4 to 6 weeks during the heating season. Have you ever gotten frustrated from the snow sticking to the shovel and making the job even harder than it has to be? You won't have that problem if you spray the shovel with non-stick cooking spray before you shovel. The snow will slide right off. You can use non-stick cooking spray on the inside of the discharge chute of a snowblower to prevent it from clogging too. Commercially prepared mixes, aspirin, sugar and other additives introduced into the water are not necessary. Research in a North Carolina State publication has shown that vital but very plain water will keep a tree fresh. Their studies confirm that most "concoctions have been tested in hopes of prolonging the life of cut Christmas trees" but "additives are of little benefit and sometimes produce adverse effects." Defensive driving on Icy Roads...Drive at a slow speed; accelerate and brake very gently. Drive particularly slowly on bends to limit loss of control. Refresh a newly purchased Christmas tree by making a straight cut at least one inch above the original harvest cut. Place the newly cut tree immediately in water. To prevent pipes from freezing in cold weather we all know to let the faucets drip right? Well here's another great idea most of us probably haven't thought of: Set your icemaker to make ice if the water line to it runs under the house. A waterproof doormat can go a long way in curtailing a wet, unpleasant mess in your front hall. It can also save wear and tear on your carpets. Visit the fantastic North Pole website for puzzles, games, recipes, gift ideas, Christmas crafts. You name it they have it. A great website for kids! Lots of fun things for them to do! As we head toward winter get in the habit of keeping your vehicle's gas tank as full as possible. This serves 2 purposes: 1) Safety & peace of mind in the event of a winter storm and 2) lessens condensation in the gas tank to minimize water in the fuel which can freeze. Clean your gutters...we harp and harp about it but clogged gutters can cause so much damage. If ice dams occur and are large and heavy enough they could loosen the gutters and rot your house’s siding and trim. To avoid tap marks, roll the full height of the wall and keep a wet edge. Keep the open side of the roller frame facing the area that is already painted. That puts less pressure on the open side of the roller so you are less likely to leave paint ridges. Happy Painting! Half a clove of Garlic placed between the gums and cheek will often soothe a headache! In the event of a power outage: Turn off and unplug electronics and unused appliances to avoid damage from a power surge. A whole turkey is safe when cooked to a minimum internal temperature of 165°F as measured with a food thermometer. 1- Hose down the wood outside or in a shower to loosen all dirt and debris. 2- Scrub each piece with hot, soapy water and then rinse well. 3- Let it air dry for a few days. Begin your project! Stick a piece of masking tape across the top of an opened paint can to run the extra paint off of a brush. This saves the paint rim from becoming 'gummed up' with paint. If you plan to do your shopping online this year here is a wise tip: Use a credit card rather than a debit card. Credit cards offer protection from identity theft that debit cards don’t. Hosting Thanksgiving this year? Tradition (and etiquette) dictates that the utensils are placed in the order of use...from the outside in. Gusting winds can bring down trees, power lines and turn objects into dangerous projectiles. the metal frame of your vehicle. Save on your heating bill by sealing any air leaks around utility cut-throughs for pipes, gaps around chimneys and recessed lights in insulated ceilings, and unfinished spaces behind cupboards and closets. You'd be surprised how much heat you lose because of these small unseen spaces! Get a head start on holiday cookie baking...Make the cookie dough as the recipe instructs and place in a ziptop bag. Freeze for up to 6 weeks. If you are making drop cookies you can roll them into balls and place on a parchment-lined baking sheet that fits in your freezer. Freeze the dough for 1 hour. Remove the cookies and place in a ziptop bag. (It doesn't hurt to label with the date, recipe name, baking temperature, and baking time.) When you need to bake the cookies either let the dough completely defrost overnight in the fridge or for at least a couple hours at room temperature and bake just as the recipe originally instructed. They taste just as fresh as if you'd just mixed the dough! Red or White wine for Thanksgiving dinner? The general consensus is drink what you like. But, if you are an over achiever and want to do it right, the majority of wine connoisseurs seem to lean toward matching turkey with Pinot Noir and Chardonnay. Change Batteries in Smoke Detectors! Some units "chirp" or give some audible signal when the battery is running low. Test your smoke detectors and install new batteries once per year. Clean your detectors using a vacuum cleaner without removing the detectors cover. Dust and cobwebs can reduce a smoke detectors sensitivity to smoke. This homemade cleaner works wonders if you are willing to wash the window and then rinse the mixture off before it dries. You put baking soda in your fridge to remove odors right? Next time you replace the fridge box sprinkle a little in the bottom of the trash can too! Keep your fireplace damper closed (unless a fire is burning of course). Leaving the damper open is equivalent to leaving a window wide open...allowing the warm air to go right up the chimney. Winter Weather Driving Tips: 1) Keep your gas tank at least half full. 2) Make sure your tires are properly inflated. 3) Never run your vehicle in an enclosed area such as a garage. Winter Window Tip! With winter approaching, it's a good time to seal drafty windows to prevent cold air from blowing into your home. Check the caulking on the outside and the weatherstripping on the inside. When you are sure you won't be using your outdoor hose anymore (and before winter sets in) turn the water off to the outdoor faucets, disconnect and run the tap to drain the water out before the cold sets in. Tip for Planting Fall Mums! Before winter, protect mums by covering plants with several inches of mulch. Wait until the following spring to cut back stems, then fertilize well to encourage blooms. Air condenses in cooler weather which can create the hazard of underinflated tires. Keep tires inflated to the manufacturer's recommendation on the sticker found in the glove box or on the doorjamb. Fall leaf raking tip...Get a bigger rake! Purchase wide no-clog rake with tines that don’t pierce the leaves. There's nothing more frustrating than stopping and unclogging the rake every five steps. If your home is equipped with a humidifier clean out the filter, or replace it, and give the humidifier a good cleaning before the dry winter air requires it's use. Leaves are falling! In early fall, there might not be enough leaves on the ground to justify raking your whole lawn. However, if you have some early fall leaves that are accumulating you can mow them into your lawn. This will help to give your lawn extra nutrients and save you some time. Window seals can crack and shrink from the change in temperature and humidity and of course there is normal wear and tear regardless of the season changes. Check your windows and doors inside and out for leaks and drafts. Caulk cracks or install weather stripping around windows and doors. Clean the dirt and mud off your patio or sidewalk with water and a stiff brush or broom. If that doesn't work add dish washing detergent or a biodegradable de-greaser like Simple Green®. Purchase containers now to store your holiday decorations in. Make it fun and purchase orange for Halloween, brown for Thanksgiving...you get the idea. The point is to be ready this year when you put them away and next year you'll simply have to grab the right container instead of trying to remember where you put them and spending half the day searching! Fall is the best time to relocate Trees and Shrubs! Use a tarp to move a transplant to another section of lawn. Water after transplanting, then add a 2-3 inch layer of mulch to help retain moisture and promote root growth. Fall is a great time to fill bald spots in your lawn. Use an all in one lawn repair mixture which contains seed, fertilizer and organic mulch. Green grass by Spring! While the weather is still nice...trim dead branches now to prevent them from coming down and causing damage in a winter storm. It's important to keep your house and yard in good shape, but more important to keep yourself in good shape! Take time for yourself, walk a little extra each day, eat better, get a good night's sleep. This is a good time to have your wood-burning fireplace inspected, cleaned and repaired if necessary. It's that time of year...leaves and twigs are everywhere. Clean your gutters and downspouts regularly throughout the fall season. Clean your drains with baking soda and vinegar. Pour roughly one half cup of baking soda followed by one half cup of vinegar down the drain and wait about five minutes. Run hot water for a minute or two. If you do a lot of printing, the Arial font can use up your ink a lot faster than other fonts. Some fonts have a much higher rate of ink consumption. Consumer Reports claims Arial is one of the worst offenders. They tested various fonts and got 27% more use from switching to Times New Roman, Calibri and Century Gothic. Change your Air Filter as recommended. New filters are relatively inexpensive, and they ensure your engine of a supply of clean air and more efficiency. When stressed your brain secretes the "fight or flight" hormone, cortisol. Elevated cortisol levels can create unnecesary levels of stress. If you exercise, you expose your body to "controlled stress", which helps regulate your brain's stress response . This helps to keep you more calm. When cleaning your gutters this fall remember to pay attention to the downspout. If clogged, the water won't drain properly causing a build up and you'll likely end up with sagging gutters. Exercise revs up complex processes inside the brain that can deter depression, help you stay calm and keep your mind sharp. For Fall Mums, cut off the flowers after they wilt. This encourages further blooming and keeps the plants clean. Pet tip; use a harness on your dog instead of a collar with a leash, less stress on their neck and not so easy for them to slip out of. Before painting your ceiling find imperfections and fill holes or cracks. The best way to find imperfections is to aim a flashlight at the ceiling with the lights off. For uneven surfaces try an angled synthetic-bristle broom which can get into corners and picks up smaller particles than a straight natural-fiber broom. If you have pets, especially cats, always be aware of any plants you bring into your house, that they're not poisonous, many are. Tired of so much dust? Use a vacuum with a HEPA (high-efficiency particulate air) filter, which traps more of the tiny stuff. Stripped screw? This sometimes works by giving you the extra grip to get that screw out. Place a wide rubber band on top of the screw head and push hard into the rubber band to unscrew it. To eliminate odors and rejuvenate throw pillows quickly - toss them into the dryer with a fabric softener sheet for a few minutes. Thinking about weeding? Wait until after a rain. Weeds are much easier to pull when the ground is wet. Never overfill washing machines or clothes dryers. Smaller loads can mean cleaner clothes and longer-lasting machines. Most people know this tip but how many of us remember to do it?! To help maintain a dishwasher it's important to clean it periodically. Food particles can collect over time and cause odors to build up. Add a cup of vinegar and run the machine. The enzymes in the vinegar clean the inside and flush out the system. Keep baby wipes in the house and car. You’d be surprised how often they can be helpful! Did someone get ink marks on the couch? Use a baby wipe to clean it off! Easy steps to cleaning grout: Sprinkle baking soda on the grout. Spray with a spray bottle filled with vinegar. Wait just a few minutes and scrub with a grout brush. Wipe with a clean rag or paper towels. Go over it with a mop. Attach a baby wipe to a Swiffer if you've run out of the pads and really want to get the job done before your next shop. Clean the metal frames on your outdoor furniture with auto polish to make them shine! For a natural solution to eliminate wasps and bees (that also smells nice)…cut a lemon in half and stick 8-10 cloves into it. Place the two halves on opposite sides of your outdoor sitting area to keep wasps and bees away. Constantly cleaning rust rings from shaving cream or other cans from the bathroom counter or tub? Coat the bottom of the can with clear nail polish and you won’t have to clean rust rings ever again! Dull scissors can be sharpened easily with fine-grit sandpaper. With the rough side of the sandpaper facing down cut several long notches so that the full blade touches the sandpaper. Are squirrels feasting at your birdfeeder? Here’s a fun little trick to keep them out. Slip a slinky over the pole that holds the bird feeder. Attach one end to the top of the pole and let it hang down around the pole. The squirrels will get their exercise but they won’t get the bird seed! The best time to use stems for propagation is spring through summer when the stems are in full growth. Last year’s stems give you the best chance of rooting a stem into a new tree. Cut the bottom at an angle. Remove the leaves from the stem. Dip in rooting hormone powder. Place in a mixture of vermiculite and peat moss. Keep moist. Place in refrigerator until roots appear then place in warm area. Have you ever had a paint container with a screw on lid that becomes impossible to open? Next time you use one put a piece of plastic wrap over the entire opening (hanging below the where the lid will screw on) and then screw the lid on top. When it’s dry outside the dirt and dust finds its way inside too. If you haven’t recently, you should clean or replace your HVAC filters. A dirty filter forces your HVAC system to work harder which not only creates a higher expense for you but could also shorten the life of your blower motor. Birds fly into windows for two reasons. They can’t tell that it’s glass or they see a reflection of the sky or trees and think it’s the real thing. It may not be aesthetically pleasing but if you put strips of tape on the window about 4 inches apart it will help prevent bird/window collisions. (Chart tape, found at any office supply store, will peel off the window easily). It’s raining! Hallelujah! But will it be enough to wake the garden? Oh wait. It's done. Whether it rains again or you have to water by hand tonight you might want to consider this gardening tip. Adding a 3 to 4 inch layer of mulch in the garden will help retain (much needed) moisture. Cleaning latex (water-based) paint brushes: If you are connected to the municipal sewer system you can wash the latex paint brushes with warm soapy water right in the sink. If, however, you have a septic tank you should use a small bucket to wash into and then let the paint water evaporate outdoors. (You can use sand or kitty litter to soak it up faster.) Dried latex paint materials can be disposed of with regular household trash. It’s another hot humid day. Remember to drink plenty of fluids. Don’t drink liquids that contain alcohol or large amounts of sugar; they actually cause you to lose more body fluids. Avoid very cold drinks, they can cause stomach cramping. If you are trying to cool your home with window air conditioners use fans as well to help spread the cooled air throughout your home. Never use fireworks around pets. Exposure to lit fireworks can result in severe burns to curious pets. Unused fireworks can contain potentially toxic substances. The noise can frighten pets. Please, keep your pets in a sheltered safe area during fireworks displays. Before summer gets completely away from you (and the kids have formed their own version of a routine) head to the library or book store. Incorporate a daily habit of reading time. Reading stimulates their imagination and expands their understanding of the world. And it gives you down time! Never leave a ladder unattended especially around children. If you’ve brought the ladder out for a project be sure to put it away when you take long breaks and when you are finished with the project. Nice weekend coming up but remember…never leave children or pets in a vehicle, the inside temperature of the car can quickly reach 120 degrees! And, as always, remember to stay hydrated. Scraping paint is not a fun job to begin with but it’s even more aggravating if your scraper is dull. Sharpen your scraping tools with a flat file before beginning, you’ll thank yourself later! Is your yard brown except for those impossible weeds? It may be unsightly but you should avoid mowing the lawn during ‘drought’ stress. Mowing when the lawn is under stress can limit its ability to recover and can damage it even more. This is the perfect time to have your chimney sweep inspect and clean your chimney. If there is damage, this will allow plenty of time to have the damage repaired before winter. Did you know apple cider vinegar can be used as a weed killer? Mix equal amounts of apple cider vinegar and water and pour it directly on the weeds. Window blinds collect dust ridiculously fast. Next time you clean them spray them with an anti-static spray when you’re done cleaning. You’ll be surprised how well that keeps them clean longer! Static Guard is a common anti-static spray, you might already have some sitting in the cabinet! An asphalt driveway should be sealed every two to three years. Use a semi-gloss paint for rooms that need a resistant surface that will hold up to repeated cleanings (such as a bathroom or a kitchen). To test your yard for soil compaction stick a garden fork into the ground. If the tines fail to penetrate 2 inches, your soil is compacted and should be loosened with an aerator. If the tines penetrate 2 inches or more put the aerator away, you are free to retire to the hammock! Wash fly specks off the walls, ground or floor with a borax and water solution. This removes the trace that flies leave to attract other flies to an area. Have you discovered that your garden tools rusted over the winter? Don’t throw them away. Try this: combine salt and lemon juice in a container and rub on the tools with a clean kitchen scouring pad. Wipe with a clean rag. If the rust is resistant let the solution remain on the tools for a few minutes before wiping. the remnants then slowly pour on water and stir it around until no more sparks can be seen. Warmer temperatures are here to stay! With that said, keep in mind the signs of heat exhaustion. If you or someone you know is experiencing heavy sweating, weakness, cold, pale or clammy skin, a fast or weak pulse, nausea or vomiting; seek shade immediately. It is important to keep the core body temperature around 98.6 degrees. This can be achieved by drinking plenty of water, a cool shower and even loosening tight clothing. If your body temperature ever elevates above 103 degrees, seek immediate medical attention. This is an indication of heat stroke. Be aware of the signs and stay safe this summer. Considering a sandbox for the kids this summer? Instead of building or buying one use a small tent! Fill the bottom with sand and you have an instant shaded area for the kids to play. Weeds and grass won't be a problem. You can zip it shut when not in use to keep the cats from using it as a litter box. And, when you don't want it anymore it's an easy demolition project! If you like to plant vegetables or have already started your garden, here is your list for the beginning of June. If you live in Zone 3 or Zone 4, the Rochester region, you can now plant beans, corn, cucumbers and squash. Who knew getting dirty could taste so good! Now that we have warmer weather in the forecast, many of us are thinking about our pools. Be sure to review all the safety rules with the family before beginning your swimming season. Take a look at your fencing or gate. Make sure you have a self-closing, self-latching entry gate. Consider installing a pool alarm. This will alert you when someone enters the pool. It is important to make sure the lawn is dry before trimming. Cutting wet grass can result in an uneven cut. Wet clippings can clog your mower; dumping clumps of grass on your lawn. This can smother the grass and result in brown spots. Rusted garden tools? Don’t throw them away. Using a solution of salt and lemon juice rub with a good scrubbing pad or steel wool. Spend your money on seed or plants instead of new tools! When it's time to plant your garden, flower or vegetable, if you use a muffin pan's bottom and plan out your grid. You'll have evenly spaced plants! While we still are experiencing cold temperatures this Spring, it may be necessary to cover your plants. Many plants cannot handle freezing temperatures. You should always check the "Hardiness" chart for your plants and flowers. If you need to cover them, use a blanket. NEVER cover your plants with only plastic. Plastic can damage the leaves and petals. Remember to remove the cover first thing in the morrning to reduce the risk of condensation. Warm temperatures are on the way this weekend. Many of us will want to get outside and start lawn work. Here are 6 great tips on how to make your lawn look great this year! Now that we are into Spring and have received some snow, we can expect rapid thawing. It is a good time to ensure you have proper drainage for your gutters. If the water has no where to go, it can create problems for your foundation, as well as, flooding in your home. Make sure the water is draining away from the house and foundation. Take a couple minutes to assess the condition of your roof as soon as the weather allows. Look for things like missing shingles and any damage where your roof and walls meet. Be proactive! We have now officially begun the Spring Season! Although March can still bring cold temperatures at night, you can now remove the burlap bags from protected plants and bushes. Prune away winter-killed branches to make room for new growth. Cut back spent perennials and pull up old annuals if you didn't get around to it last fall. It is also a good time to take inventory on your home and yard to get ready for that "to-do" list once that warm sun starts shining! Fall is the ideal time for planting bulbs that will bloom in Spring. If you're just getting around to planting now, the best method for planting is to plant your bulbs in a pot and leave them in a cooler area of your home, or even sheltered garage. Provide plenty of soil and water for the bulbs. Having them in the cooler area of your home or garage will prepare them for going into the cool ground. Allow them to sit in the cooler temperature for a couple of days before planting in the ground. When the ground is saturated from rain, like we are seeing today, your home can become a "hotel" for insects. Many insects live underground in the soil. This gives them a safe place to store food; it is dry and it generally maintains a stable temperature. If their homes become flooded, they will be in search of higher ground with a stable environment. One way to prevent them from invading your home is to spray the foundation, bricks or any known cracks or holes with an insecticide after each rain. If the weatherman gives you a good insight of heavy rain to come, a layer applied to the foundation before the rain is a great way to start, then a follow up after the rain has ended, will keep your home safe! When working outside this weekend, clean your flower beds for the Spring flowers that are beginning to pop up. However, do not rake your yard yet. The ground is too wet. Only pick up debris that has fallen over the Winter. 2# ground pork, 1 c. diced onion, 3 garlic cloves crushed, 1 c. bread crumbs, your favorite wet barbecue sauce. Mix all ingredients together, except for the BBQ sauce. Form meatballs and place, spaced out, in deep side pan. Add BBQ sauce, being careful not to over saturate. Use apple wood in your smoker and set temperature at 220* (cooking time varies based on size of meatballs). Cook until center is a light pink. As we lean closer to Spring and further away from Winter, it is a good idea to check your chimney. Take a look from the outside and see if you have sustained any damage from the elements. If you have any doubts or concerns, contact a professional. It is also a good idea to have the flue cleaned and a full maintenance check performed. Safety is always the number one priority for you, the family and your home. Is cleaning the ever growing toy room on your agenda for the near future? Here's a quick remedy for cleaning: Get a mesh bag and clean the plastic toys on a cycle in your dishwasher. Don't forget to shut off the dry cycle! Are there stuffed animals piled in the corner collecting dust? Simple fix! Toss them in the dryer on the fluff cycle. Don't forget the dryer sheet! Day Light Savings Time is fast approaching! Now is a good time to make sure you have new batteries for those smoke detectors and carbon monoxide detectors. Check your supply of batteries. If you do not have any, put them on the top of your shopping list. This is a "Must Do" for every home. Once you have done that, don't think of Day Light Savings Time as loosing an hour of sleep; look at it as an hour closer to warmer weather. Spring is around the corner. That means your power tools should have a once over. Maintenance is important for your safety and the best performance of your power tool. Make sure all nuts and bolts are tightened, check the power cords for any damage, check filters, clean debris from all areas, make sure chains are lubricated, and make sure if you're using 2 cycle oil mixed fuel, you use new fuel for mixture. As the snow is melting and we are approaching Spring, it is a good time to inspect your shingles. From the ground, examine roof shingles to see if any were lost or damaged during winter. If your home has an older roof covering, you may want to start a budget for replacement. The summer sun can really damage roof shingles. Shingles that are cracked, buckled or loose or are missing granules need to be replaced. Your roof may be a big investment, but your home is much bigger. Keep it safe and dry from the elements no matter what time of year it is. Everyday maintenance on your dishwasher is a good idea. After all, it cleans the dishes you eat off of! Make certain your scrape tray, or food catch tray, is clean of food and debris. Make sure the spinning arms are not clogged where the water sprays out. You may need to de-lime the water feed equipment; do not use any detergents containing bleach if you have a stainless steel interior. Fixing a leaky shower is fairly simple. Check the handle and cartridge first. Remove handle and faceplate, replace the cartridge. If your shower continues to leak, remove your shower head. Replace the rubber gasket. If the shower still continues to leak, you may want to call a professional. Always remember to shut off the water supply to your shower before attempting repair. The winter snow is blowing and drifting. Make time to check your exhaust vents. Without proper ventilation, your home could hold the carbon monoxide inside. This odorless gas can be deadly. Please take this seriously. Regardless of drifting snow blocking your vents, it is always a good idea to have a carbon monoxide detector in your home too. Anti-lock brakes should not be pumped; they should have direct and continuous applied pressure. Non anti-lock brakes should be pumped. Do not allow your car to idol in an enclosed area. If you are unfortunate and are stuck in a snowbank or ditch, ensure your exhaust is free and clear of snow while you sit and wait for help. When remodeling your kitchen, in a typical remodeling budget, about half of the cost will be allocated to the cabinets alone. Therefore, cabinet purchase is one of the most important design decisions you'll make for your kitchen. To make a small room seem larger, change your color scheme from dark and sullen colors to bright and lively. Allow natural light. Use bold print on your curtains. The track of your sliding glass door accumulates dirt. To clean the tracks (and make the "sliding" easier) clean them with a wire brush or toothbrush, vacuum the debris and spray some WD-40 on the clean track. Start each day planning your day. Do not begin your day until your day has been planned, and be fair to yourself; it is impossible to get everything done. Using your ceiling fan in the winter can help to draw warm air throughout your home. Remember to flip your fan switch in reverse! When temperatures begin to rise above freezing, the snow begins to thaw creating hidden dangers on road ways. Just because the roads may look only wet does not mean you can speed up your travels. Wet roads can easily cover up potholes. What may look like a small puddle, could in fact be a large pothole. These potholes can create significant damage to your car or possibly an accident. Stay safe out there and be alert of how quickly road conditions can change. Is the annoying yellow triangle with the exclamation point light on in your car? In winter, it may not be any major cause for concern. Your light might be on when first starting out, but after a few miles, it shuts off. That's because your pressure is low enough (cold enough) to set your sensor off. Once you start driving and warming up your tires, the air expands and the indicator shuts off. Thanks to the Tire Pressure Monitor in vehicles, we now have the yellow light indicator to let us know our pressure is down. You should still check, and add air to your tire, if necessary. Blowing and drifting snow can cause your furnace and dryer vents to become blocked. If this happens, your furnace could stop working and carbon monoxide will fill your home. Be sure to periodically check those vents. If your vents are on top of your roof, think safety first and call a professional. Carbon monoxide is odorless and can make you very ill or even cause death. Stay safe and warm this winter by following this simple tip and it doesn't hurt to be on the safe side and purchase a carbon monoxide detector too! Are some rooms in your house too cold or too hot? This can happen very often as cold temperatures set in. Before calling a heating specialist, consider adjusting the air flow in each room. Vents are located in all rooms and can easily be adjusted to allow the correct amount of air flow (hot or cold) into the room. This may require a little patience, but only you know what temperature works best for you and then you can save yourself the cost of a service call! The cold temperatures have finally hit Western New York. Many of us layer up before we head outdoors. Unfortunately, our four-legged friends don't have this luxury. So it is a good idea to keep their exposure to a minimum. Only a select few breeds have a "coat" that can tolerate cold temperatures. For those that don't, it is a good rule of thumb to only keep them outside the same amount of time you can keep a bare hand exposed to the cold. They too can experience frost bite. As the new year is fast approaching, many are finalizing their plans for a big party. We would like to add a friendly reminder that alcohol is toxic to our furry, four legged friends. Even a small amount could prove to be deadly. So make it a Happy and Healthy New Year for our pets; keep them in a different room or make sure they cannot reach the alcohol. Wear breathable layers so your body heat can circulate under your clothing. This will keep you warm. Make sure you wear boots with non-slip, aggressive tread. Be sure to stretch before you begin shoveling to warm those muscles up. 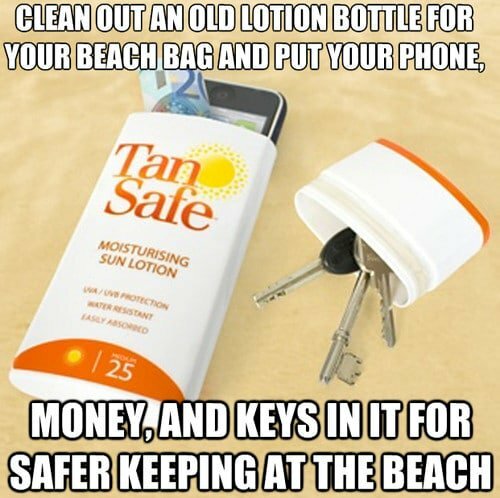 Have that cell phone in your pocket in case of an emergency. While shoveling, it is best to push the snow instead of lifting. By pushing, you will save your back for the rest of the day! One of the most important things to remember is to be aware of your surroundings. It is very easy to become so focused on shoveling that we forget to look around. Take time to look and listen for vehicles, people or our precious pets. Jelly, Soda, Gravy, Alcoholic beverages and even Pet Stains - 1/4 cup white vinegar mixed with 32oz. water. Wine, Chocolate, Coffee and Mustard - 1 tablespoon ammonia mixed with 1 cup of water. Wax and Gum - freeze the area and then tap with a spoon to break apart. Vacuum pieces before they thaw. Of course, it is important to check with the manufacturer of your carpet for the best cleaning instructions. Today officially marks the first day of Winter! Fortunately for us, Mother Nature has not figured it out yet. Don't be fooled though, it will happen. So now is a good time to make sure your car has a snow brush, emergency kit and an extra blanket. On a lighter note, after tonight, the days will start getting lighter! With the holidays fast approaching, many of us will be traveling to see family and loved ones. It is a good idea to let those you are visiting know what time you are leaving and the route you will be taking. That way, they can be aware of when you left and your travel route in case an emergency arises. Safe travels to all this holiday season!! Plug into a wall; never an extension cord. Only use if you will be in the room to monitor. Do not use in the bathroom or kitchen. Keep at least 3 feet from objects (desks, chairs, garbage cans). Only purchase if there is a tip-over automatic shut off. Do not connect more than 3 strands of lights. Turn off lights before leaving the house, or before going to bed. Keep your tree at least 3 feet away from a heat source. Above all else, check that your smoke detector is working properly. How have you celebrated? Did you indulge in your favorite cookie over afternoon coffee or tea? Perhaps you're going to whip up a favorite batch this afternoon or tomorrow. No matter how you celebrate, make sure you do! Every one of us deserves a cookie! Me? I'll be making my favorite: Old-Fashioned Molasses Cookies! and most importantly, do not over water! It is officially December and today's temperature could get into the 50's! So it would be a good idea to take a final check of the outside of your home to make sure it is ready for winter. Check gutters, store any remaining patio furniture, storm windows are in place, etc. Don't forget to get your car ready too. Make sure all the fluid levels are correct and tire pressure is at its manufacturer's recommendation. It is the season for holiday shopping. It is also the time for car-jacking and thieves. To keep you and your packages safe: make sure you check your surroundings before you go outside; ladies keep your purse around your neck and shoulder; have car keys out; lock doors immediately once in car. The most important thing is to NEVER leave your car once inside and locked. Scammers have started to put money under your wind shield wiper in hopes you will grab it. This gives them the perfect opportunity to steal your car. No matter what is left on your window, do not get out; drive off to a safe place to remove it. Still in your food coma? Did you have too much Thanksgiving? You'll be back to your normal self in a few days! If you are hosting Thanksgiving Dinner, sometimes it is hard to find enough space in your fridge. For that extra space, consider using a beach cooler. It is perfect for storing the turkey, casseroles, dips, and other foods that must stay chilled. Filled with ice or frozen gel packs and stowed in the garage or some other cold spot out of the sun, a cooler will keep food fresh for at least 24 hours. Looking to save some money this winter? Consider turning your thermostat to 68 degrees. For every degree you lower your heat in the 60-degree to 70-degree range, you'll save up to 5 percent on heating costs. Do you plan on leaving your home for an extended period? Try setting the thermostat back to 55 degrees. You could see an additional 5-20 percent of your heating costs back in your pocket. Since most of Western New York is still under a "Wind Advisory", here are a few ways to make your drive safer: 1 - Anticipate gusts, especially in wide open areas, under and over passes; 2 - Keep watch off larger vehicles such as trucks, semi's and trailers. These vehicles are at most risk for swerving and tipping; 3 - Maintain a safe distance behind cars and keep a firm grip on the wheel. Wind gusts can happen at any time, without notice. Stay safe out there! Express your appreciation by showing up to a Veterans Day event, make a donation, ask someone (and listen) about their service, write a note of appreciation to a friend or family member that has served, visit a VA hospital or facility (volunteer your time even! ), and fly your flag...correctly. For flag flying information, check out our information here. Um, you. Yeah you. The one with the wipers that leave your windshield worse than before you used them. The chilly season is quickly approaching, and you should check your wiper blades. Make certain there aren't any cracks or tears in them (or a section missing). I suggest you check you car manufacturer's recommendation for wiper blade replacement, or simply as your mechanic. Nothing is worse than not being able to see out of your front windshield! Installation is as simple (in most cases) as a snap! If raking is in your imminent future due to the recent winds, get a bigger rake. Many home centers sell rakes up to 30 inches wide. Look for a “no-clog” rake with tines that don’t pierce the leaves, so you spend less time stopping and unclogging the rake. Fold 6 pipe cleaners in half and create 2 loops on each end. Wrap the middle parts of all pipe cleaners together and arrange in fan style (creating feathers). Once you have the shape the way you like, glue the pieces to the bottom of the pinecone. Glue pom-pom to the top of the pinecone. Cut small triangle out of the felt for the beak. Add googly eyes and beak to the pom-pom with the glue. Cut remaining pipe cleaner in half and use one piece to create feet. Glue to bottom of pinecone. Cut out flag from the construction paper, write your table guest's name on it, glue it to the pipe cleaners. When it's time to finally put the lawnmower away, make sure you winterize the lawnmower, and wipe off all dirt and debris to avoid rusting and wear. ELECTION DAY! !- Remember today is election day. It is your opportunity to vote for who you believe will best serve the positions available! Polls are open from 6 am to 9 pm. So you turned your clocks back, did you even realize how many you had? What about the smoke alarm batteries? Always a good reminder to replace them when the clocks get changed. While your mower is still out, mow around your fruit trees one last time to discourage nesting of mice. Install a mouse guard consisting of mesh hardware cloth to prevent mice and other rodents from eating the bark and killing the trees over winter. When you take a dog for a walk on a leash, be sure to find an area where they can run free for a few minutes. A dogs way of discovering the world is through smell. Walks only on a leash is like walking through a candy store and not being able to sample any candy! *Remove dirt using a damp cloth. *Make a bleach solution of 1 tablespoon of bleach per quart of water and put it in a spray bottle. *Spray the pumpkin inside and all cut areas of the pumpkin with the solution - this will kill much of the surface bacteria and mold that cause rotting. *Let it penetrate and dry for about 20 minutes. *Drain any excess liquid out of the pumpkin. Now, keep your pumpkin out of direct sunlight and try to keep it as cool as possible (but above freezing!) and you should get at least a week's enjoyment out of it! Make sure your home is not at risk. If you see peeling paint on the exterior of your home, it is a sign that the protective finish of the paint is failing. If it is not corrected, it can lead to expensive repairs to walls. Be sure to periodically inspect your home, especially in the Fall. Now that we have had a taste of cold temperatures with a few flurries, it is a good time to check all the fluid levels in your vehicle. Cold temperatures can cause fluids to fluctuate. Those changes make the difference if your car will start or keep you warm this winter season! - mildew spots? Rub in salt and some buttermilk, and then let dry in the sun. - Spilled wine or fruit juice? Pour salt on the spot immediately to absorb the stain. It's time to seal some cracks outside near your door, window or even siding. If you select a silicone sealant, select one that you can paint over. Purchase a caulk gun that is dripless. Scrape away old sealant. Hold the gun at about a 45 degree angle and keep even pressure on the trigger. Go slow and steady! A bucket of water with a few drops of dish soap makes a good lubricant to smooth out the bead. Remember, use quality long lasting materials - you'll be glad you did! Fall weather is not just beautiful colors. It can also bring on serious weather changes and sudden road conditions. Before you travel any distance, visit weather.gov to ensure you reach your destination safely! So, Elba, how are those onions? - ENJOY THE CHANGING LEAVES! My tip to you is to use your coffee grounds to clean and deodorize your garbage disposal. Just put the damp grounds in, run the cold water, and turn the disposal on. It is not recommended to run coffee grounds through daily, only occasionally. - If you want your children to carve, the pumpkin carving kits available in stores are very good to use (plus they are smaller, so they're easier to control). It is best, though, to not have children younger than 14 carving. - Try to carve your pumpkin before opening it and cleaning the "guts" out. This way, your hand won't be inside the pumpkin while carving. - Keep your carving tools and outside of pumpkin dry. This will prevent slipping. - Carve in a well lit area. - Take your time; don't rush! And remember, if you are injured, most cuts will stop bleeding within 5-10 minutes with firm pressure and a clean dressing. If the bleeding is persistent, seek immediate emergency care. - Harvest gourd when the stem is dry and turning brown. - Cut the gourds from the vine leaving at least 2” of stem. - Gently wash the gourds in a mild soapy dish detergent and rinse thoroughly. - Wipe the gourds dry and spray lightly with a household disinfectant or mist with rubbing alcohol. - Place gourd on a few layers of newspaper in a dark, warm, dry area with good ventilation. Replace the damp newspaper every few days, turning the gourds when you do. Heat accelerates drying and darkness will preserve the gourd’s color. Repeat these steps for the next several weeks until the gourds are noticeably lighter and you are able to hear the seeds rattling inside them when you pick them up. - When the gourds are completely dry, use a paste wax or clear shellac to seal and protect. When cleaning and organizing your toolbox, put the least used tools on the bottom. That way, you're not digging through your box for a pair of pliers. Also, store a few pieces of chalk in your toolbox to help absorb moisture and help prevent rusting of your tools. September is the best month to aerate, fertilize and seed your lawn for next year. Is your washing machine taking forever to fill? Have you checked your filters for clogging? First shut off the hot and cold water knobs at the wall. Unscrew the hoses from the back of the washing machine. Using needle nose pliers, pull the plastic trap out of the machine. Check for debris/build up and clean as necessary. Put trap back in, being careful not to push beyond end of output. Reattach hoses, and turn the water back on at the wall. Are your living room walls looking drab? Makeover your room! For as little as the cost of paint, rollers, paint brushes and new throw pillows, you can complete a quick makeover for very little out of pocket cost. Simply change the color on one wall, and buy matching colored throw pillows for your couch. It's apple season! To properly store your apples, do not keep them in a bowl on the counter. Instead, they should be kept between freezing and 45*. You can store them in your fridge, in the fruit drawer; have a damp paper towel nearby to increase humidity. Do not store potatoes and apples together; the apples give off ethylene gas that spoils the potatoes. Only use lightbulbs that match the recommended wattage of your lamp or light fixture. How do you increase the size of your bathroom when there isn't any room for expansion? You simply add mirrors and change color. By adding several mirrors to your walls, and brightening the bathroom walls, the bathroom will appear larger. You can also change to a glass shower door, for a more open feel. As we experience high temperatures again, we'd like to remind you to not drink liquids that contain alcohol or large amounts of sugar–these actually cause you to lose more body fluid. Also, avoid very cold drinks, because they can cause stomach cramps. Stay hydrated and enjoy these days as much as possible because we only have 19 more Friday's till Christmas!! Slice the zucchini in half if it's large. Slice the zucchini in strips for marinade, grilling, or make veggie pasta. If you're going to grate the zucchini, slice again and scoop out the seeds before shredding. Freeze in freezer bags for use over the winter. Freeze by the cupful for addition to your winter sauce, or even a muffin or bread! Your lawn mower blades get dull pretty quickly. Check them out and if you can't do it yourself contact Brodner Equipment at 585-247-5218. They will even pick up your mower! Help avoid drowning accidents. Never assume a lifeguard is the answer. Watch your children at all times and enroll them in swimming lessons. The best age to start is at three years of age. Most homes can be safely cleaned with a few non-toxic ingredients: vinegar (it's anti-bacterial), baking soda, water, a HEPA vacuum, microfiber mops and cloths -- and some elbow grease! Skip laundry products you don't need, like dryer sheets, fabric softener, and chlorine bleach. "Spice" up your herb garden by adding hypertufa planters to your display. *Mix 3 equal parts of peat moss and Perlite and 2 parts cement in a large container. *Gradually add water until you have a "mud pie" consistency. *Place some of the mixture in a container of your choosing and press the mixture against the sides of the container, leaving a thick wall with an opening for a plant. *Add a hole in the bottom for drainage. *Allow the planter to dry thoroughly for about 7 days. *Transplant your herbs to your new planters! When trying to fix a squeaky stair, identify where the squeak is. The best way to do that is to have someone walk up the stairs at a normal pace. Have the person stop as soon as you hear the squeak, and then mark the spot with masking tape. In most instances, the culprit for a squeaky step is either a loose step or balustrade. Try to work from underneath your staircase. That way, you won't have to hide any repairs, remove carpeting, or ruin the wood finish. When you find a loose step, insert a shim of wood or cardboard between the treads and risers. First, apply wood glue to the shim and then tap it into the gap until it's snug. If you find that you must work from the top side of the stairs to repair a squeaky step, you can drill pilot holes and drive screws into the risers. Fill the holes with glue-laden shims or wood plugs. Plant the top of a pineapple in a pot to grow another. Did a friend's car leave a grease stain on your concrete? Grab some cat litter and spread it around on the grease. Then grind it in real good, walking and twisting around on it. Sweep it up, and open a cola beverage. Spread the drink around on the floor. Wet the grease stains thoroughly. Work it in with a stiff broom, but don't let it dry. Once the cola quits fizzing, rinse it with water, then whiten up the remaining gray stain with a solution of 1 cup of liquid chlorine bleach and 1 cup of powdered laundry detergent in 1 gallon of very hot water. Pack your lunch. It’s always healthier and cheaper than fast food. When doing any remodeling, especially in the bathroom, include handicap accessibility in mind. You never know when you may need it. Rarely do you anticipate an accident resulting in an injury needing handicap facilities. When planning your kitchen remodeling, cabinetry is one of the largest costs in your budget. It is important to plan your cabinets based on your current needs and workflow. This will help eliminate extra unwanted empty cabinets. Contact us regarding referrals for quality contractors at (585)589-5650. Every once in a while, stroll around your house, look for siding that may be slipping out of place, how about that gutter downspout that came loose, windows looked fogged? Preventive is better than dealing with serious issues later on. Too hot for you, too hot for your pet! Make sure they have shelter, fresh water and NEVER Leave in the CAR!!!!!! Keep an eye on your dogs collar, it may be getting too tight. A harness is less stress on the dogs' neck and avoids an accidental strangulation. Think safety around pools and hot tubs, especially when you have guests over with children that may be curious. Locks, alarms and gates are always a good idea, at the very least consider placing a safety cover on the pool or hot tub when not in use. And don't forget to remove any ladders or steps used for access. How many of us have refilled the kids or grandkids bubble containers and spilled just as much on the ground? Here's a perfect solution...fill an empty laundry detergent bottle with bubbles (the type with the push button dispense) and you'll not only stop wasting but most children can fill their bubble containers themselves this way! Traveling this summer and want to take a bottle of your favorite wine with you but are afraid of it clanking around in the car or taking up valuable suitcase space? Stick them (yes let's think in plural for wine) in kids inflatable arm floaties and you won't have to worry about clanking or breaking! Having leaks in your basement? Don't 'let it go' it could cause even more problems. However, don't get scammed by companies who can waterproof your basement to the tune of $14,000. Heck, I'll do it myself for that! The tire pressure recommended in your vehicle's owner's manual or tire information placard is the vehicle's recommended cold tire inflation pressure. This means that it should be checked in the morning before you drive and before the rising temperatures and sun's heat affects it. Don't let cloudy days discourage you from picture taking. Cloudy days actually produce a diffused light that's more balanced than the light on a sunny bright day. Carrying a cooler to keep your drink cool is not always convenient. Here's a great way to keep that one bottle of water colder longer. Fill a water bottle a quarter of the way and lay it on it's side in the freezer. An ice block on the side of the bottle will form without blocking the opening and when you're ready you just fill it with water or your favorite drink and it stays nice and cold much longer! Not sure if bathing or swimming was considered in this tidbit of info we came across but... When applied consecutively for several days, sunscreen can actually accumulate on your skin enough to raise the SPF level, resulting in even better protection against sun damage (according to the Department of Dermatology at the Bispebjerg Hospital in Copenhagen). Planting a garden this year? The best advice comes from a Chinese proverb...The best fertilizer is the gardener's shadow. Snip snap is an app that lets you scan and save your printed coupons onto your mobile phone, or you can search within the app for the stores you'll be shopping and get coupons straight from the app. No more cutting and no more shuffling through piles of paper coupons! The ants will be marching in soon unless you take some precautions. Clean up spills especially sweet stuff, sugar etc. Check in your food cupboards, do you have crumbs or sugar that fell out of the bags? No maintenance vinyl siding? Not exactly. You still have to keep it clean or eventually you'll discover mildew and algae on the siding and that's not pretty! If you've let it go too long a pressure washer does a nice job but water can be driven into cracks and crevices where water is not supposed to go. If this is a concern try a hand-pump garden sprayer, some oxygen bleach and a brush on a pole. For periodic cleaning to prevent mildew and algae buildup, wash your home each year with a solution of liquid dish soap and water. You know when you see a trail of ants on the kitchen floor after someone has spilled a sweet drink and didn't clean it up as well as you would have cleaned it?! (No names!) These types of house ants will leave a chemical pheromone trail wherever they travel so even if you kill them their friends will follow the trail. You should clean the area with soapy water but to totally eliminate the chances of more ants appearing you'll need to find out where they're coming in and clean the whole trail, or better yet eliminate the colony. Take a walk around home's foundation, are there cracks or holes? All kinds of things can get into your basement, moles, voles, mice, chipmunks, squirrels, snakes, insects and bees, not to mention water. Those little furry & not so furry, animals can get into the smallest openings. Do whatever you can to close up those holes. The best defense against bugs is to keep your kitchen clean, take out the garbage regularly, and store food and drinks in tight containers. The more proactive you are the less you'll have to spend to get rid of those pesky bugs! Now that the weather is conducive to getting on a ladder and checking the gutters it's a good idea to also check all the spikes that are supposed to go through the gutter, through the fascia board and into the rafter behind it. If necessary, invest in new gutter spikes so the gutters are securely fastened once again. Now we haven't tried this one but if anyone has please let us know the results. Wash your car with a hair conditioner containing lanolin for a freshly waxed look that will repel rain. Really? Who dares to try it?! Did you know apple cider vinegar can be used as a weed killer? Mix (same number of ounces for apple cider vinegar as gallons for water - ex. 5 ounces to 5 gallons, 10 ounces to 10 gallons) and pour it directly on the weeds. Our lawns have woken from the long winter slumber and now that it's time to begin a mowing regiment it's also a good time to feed (fertilize) to strengthen roots. This may seem like an obvious tip but household falls happen too often. When spring cleaning you'll likely be moving things and when you're moving things you'll likely be tempted to stack your arms as full as you possibly can. Here's our tip...make sure you can see over the load you are carrying so you do not trip! And if you are going up and down stairs carry only enough that you have one hand free to hold on to the stair railing. Really...safety first! Check your car inspection and registration stickers. Since they're not connected anymore so easy to forget! When spring cleaning (or any cleaning) wear rubber gloves to keep your hands from getting dry and cracked from the hot water and chemicals. It's tempting to just jump in when the cleaning mood strikes (personally not familiar with that concept) but if you don't have rubber gloves on hand put it on your grocery list and wait a week! It's that time of the year...Spring Cleaning. As a reminder: Do not mix ammonia and bleach together. Both are common household cleaners and should be used separately from each other because they create toxic fumes when combined. If you plan to tackle the spring cleaning remember that cleaning supplies can create nasty fumes. Be sure to open windows if the weather is nice enough and if not turn on the exhaust fan or place a fan in the room while cleaning. An even better tip is if the weather is nice enough to open windows forget the spring cleaning and enjoy the weather! Bar Keepers Friend is a must have in everyone's cleaning supply cabinet! This product works great on many many items. Try it for the bottom of Reviere Ware cooking pots, toasters, stainless steel sinks, silverware, bathtubs, toilets, glass cook tops, windows...this is a must have cleaning product! You can find it at most grocery stores and department stores. We all want to see nice green lawns but don't jump the gun, the optimal time to apply fertilizers is when the grass roots and blades are actively growing. April is a great time to get the jump on weeds by applying a pre-emergent weed killer to beds and borders. To bring a little shine back to dull bathroom wall tile try washing the tiles with a solution of vinegar and water then polish with a dry towel. Are your baking pans grungy and in need of replacing? You might want to try this product first. Dr. Bronner's Magic Soaps Pure-Castile Soap (available on Amazon, at Target, and other places) is a little expensive but a little bit goes a long way. This product is made with all Natural Organic Certified Ingredients and is worth the investment. And it's a multi purpose cleaning product! Clear gutters of debris and check them for corrosion, joint separation, and loose fasteners. Flush out downspouts and unclog leader pipes. Leaders should extend at least 5 feet to direct water away from the foundation. This is a great tip! Use a pillowcase to clean ceiling fan paddles. Open the pillow case and slide over the paddle then dust with the top and all that dust will fall inside the pillowcase and not onto the floor! Brilliant! JimSalmon.com came across an article from reviewed.com that will interest anyone in the market for a new fridge! Be sure to check this out: 'Everything you need to know about the new energy star fridge standards. Having a sump pump is well and good but it is important to routinely do a maintenance check to ensure your sump pump is ready when you need it. Pour water into the sump pit to test if the sump pump starts up automatically and quickly drains the water. If your refrigerator has an ice machine or water dispenser, the hose between the wall and the refrigerator should be made of braided copper, which will help prevent the common issue of cracking and corrosion. It is a good idea to add power washing to your Spring-Cleaning checklist. Although most of the snow has melted, moisture can linger as temperatures haven't fully rebounded. This situation creates the perfect environment for mold to grow. Have you purchased a new washing machine recently? If you purchased a high efficiency washer you need to know this: High Efficiency washing machines use much less detergent than the older style you might be used to. Only 'HE' detergents should be used in 'HE' washers. Be sure to check for the little icon on the detergents you purchase to make sure you are using the correct kind! Many brands now sell 'HE' detergents in both powder and pods. Water leaks are a common cause of headaches for homeowners. Practice prevention! Inspect water heaters, showers, tubs, toilets, sinks and dishwashers annually, and have them repaired if there are any signs of leaks or corrosion. After a harsh winter like the one we just had, it is important to check your windshield wipers. Sub-zero temperatures and heavy snow can tear and wear down your wiper blades. If you need new ones, most auto stores will change them for you when you purchase new ones. April showers are coming, so make sure you are safe on the roads this spring! Let's assume we'll be needing the air conditioning soon...okay okay...but still you should get it ready, we will need it someday. Right? Disconnect electric power to the outdoor condenser on your air conditioner and clear it of leaves and debris with a vent brush, power blower, garden hose, or the brush attachment on your vacuum cleaner BUT be sure not to bend the fins if they are exposed. It's also a good idea to vacuum the grille and register inside the home to ensure good airflow. And...of course...change your furnace filter. Hopefully all the snow is off your roof from this long, cold winter. Now is the perfect time to go outside from a distance and look at your roof. Look for missing or damaged shingles or missing, damaged flashing around plumbing vents or fireplaces. If you notice any damages, contact a professional. Clean or replace your HVAC filters. A dirty filter forces your HVAC system to work harder which not only creates a higher expense for you but could also shorten the life of your blower motor. Why you should clean your dryer vent: You probably know that not all lint is caught in the lint trap, some makes its way into the dryer vent. Keeping the dryer vent clean will save you money by reducing the time your dryer has to run. And even more importantly, a plugged vent could cause a house fire. Today is officially the first day of Spring! Even though it may not feel like warm weather is coming, its time to check your air conditioners. Change the filter, check hose connections for leaks, and make sure the drain pans are draining freely. In addition, vacuum any dust that has settled on the unit and connections. This way, it will be ready when you need it! Now that the pile of snow is melted off the roof it's time to inspect and repair any water damage. If you do find damage remember this: the longer you wait to repair it the more likely you could find yourself facing water damage inside your home, too. Repair it as soon as possible! Now that the snow is starting to melt, it is a good idea to take a walk around your home's foundation. It was a tough winter this year. If you see cracks or holes in the foundation, get them fixed as soon as possible. Spring rains are just around the corner and can cause basement flooding too. This maintainance tip is often overlooked or sometimes not even thought of: It's important to routinely check the washing machine fill hose. Look for cracks that could become leaks. A leaky hose under pressure can cause major damage in a short period of time. Every Spring, it is really important to make sure gutters and downspouts remain bonded to the home. You will want to check for loose downspouts and sagging gutters especially after the Winter we have had! It is only March, but warm weather is approaching. It is not too early to schedule your maintenance check for your air conditioner unit. Make sure it is ready, when you are ready! Let's talk spring! As the snow melts and we wait in anticipation for signs of green grass, prepare your lawn mower so it's ready when you need it. Change the engine oil and sharpen the cutting blade. You'll lengthen the life of the mower and improve the look of your lawn. You are probably about fed up with your heating bill after this winter. Who isn't?! It doesn't hurt to check and make sure you are saving everywhere you can. For example, don't forget when the heat is on, the ceiling fan blades should be reversed, run the fan's blades in a clockwise direction which will produce an updraft and push heated air from the ceiling down into the room. It is daylight savings time this weekend! Be sure to adjust your clocks appropriately and DON'T FORGET TO CHANGE THE BATTERIES IN SMOKE DETECTORS AND CARBON MONOXIDE DETECTORS! We all know this living where we do in Western New York but it never hurts to be reminded from time to time. Regular cleaning of the salt underneath your car will go a long way toward reducing rust and corrosion. When temperatures fluctuate as much as they have this winter, it is important to monitor your tire pressure in your vehicles. Many accidents are caused as a result of improper tire pressure. Ice damming is everyone's problem right now. Don't attempt removing it if you're unsure of your safety. There are companies who are doing ice dam removal and they have the proper equipment and are insured to be on roofs!! That's very important! We can suggest some companies, just give us a call at 585-589-5650. Carbon Monoxide poisoning is at its highest risk in the winter months. Know the signs. If you experience any of the following: headaches, nausea and vomiting, exhaustion, drowsiness, dizziness and light-headedness, flu-like symptoms or palpitations (feeling your heart beat oddly) chest pain, seek help immediately. Not feeling well? Here's some home repair tips for your health! Vicks VapoRub: for ear aches, apply a small amount on a cotton ball and place into ear, relieves the pain! Headache? Rub a small amount on your temples and forehead. Thanks Vicks! Be aware of potential roof damage from the snow. If you notice any of the following, you should consult a professional: sagging roofs, leaks, cracked or split wood members, bends or ripples in supports, cracks in walls or masonry, sheared off screws from steel frames, creaking or cracking in the roof or if doors just "pop" open or become difficult to open. Keep puppy feet safe. Be sure to use a "pet friendly" ice melt during these frigid temperatures. With subzero temperatures in the forecast, be sure to check your car battery. If your not sure how, you can visit any auto store that sells batteries for assistance. Keep the thermostat at the same temperature day and night. You may notice a slight increase in heating costs, but the repair of a pipe that bursts could be devastating! Know the signs of frostbite before they set in. The beginning signs of frostbite include skin numbness and discoloration. Hypothermia could be setting in if you experience extreme fatigue, shivering and/or loss of consciousness. With a break in snowfall, it is a good idea to clear your roof. It should be done after every 6 inches of snowfall. If you prevent too much snow from piling up on your roof, it’s much harder for ice dams to form and you can certainly prevent any sort of roof cave-in. As another storm is heading to Western New York, it is always a good idea to let others know your travel plans if you must leave your home. It is never too late to have your furnace cleaned if you have not done so already. 28% of home fires are caused by not properly cleaning your furnace or heating source. As the snow keeps coming and temperatures continue to fall, be sure that all fluid levels are properly maintained in your vehicle. Clear your furnace vent pipes of snow & ice, otherwise your furnace senses a problem and shuts off. Reminder, be careful shoveling, if this is the first exercise you've had in a year, don't do it! If you notice ice dams (icicles) near gutter downspouts, safely remove them. Water can back up into your home if gutters are not kept clear of debris. It is never too late to prepare for winter storms. Make sure you have an adequate amount of water and food for each person in the home. A good rule of thumb for water is one gallon,per person, per day. Make sure you have enough blankets, batteries and a hand crank radio or battery back up chargers for phones. Most importantly, a "Storm Safety Plan" so you all will be prepared. Winter is not over yet for Western New York! All adults should be active for at least 2½ hours a week. Your goal is to get your breathing and heart rate up so you can strengthen muscles. If you plan on exercising outside, be sure to dress accordingly and be visible at all times. Its never too late to plan for safety this winter season. An emergency car kit is always necessary if you get stranded in your car. Your kit should include: blankets, food, water, booster cables, flares, tire pump, map & compass, flash light with extra batteries, a battery powered radio, first aid kit and plastic bags for sanitation. December and January are the highest months that carbon monoxide poisoning can take place. Make sure you and your family are safe by installing a detector today. If you have one, be sure to check your batteries. Be safe all year long! Keeping your garage door closed during cold temperatures can reduce heat escaping from your home. Now is the time to plan for spring projects, this gives you a chance to find ideas, look for & interview quality contractors, start budgeting! With cold and flu season in full swing, make sure you wash your hands as often as possible. A good rule of thumb, to ensure you remove all germs, is to scrub your hands front and back, in between fingers and under nail beds for at least 20 seconds. A good way to time yourself is to sing "Happy Birthday" twice. NEVER, EVER run a generator indoors, not even in a garage or open porch. NEVER! The cold weather is not going any where soon. Be aware of hypothermia and know the signs: shivering, exhaustion, confusion, fumbling hands, memory loss, slurred speech and drowsiness. If you notice these symptoms, seek help immediately. Keep those vent pipes clear of snow and ice for your furnace or it could shut down. Good for you getting ice melt that's safe for your pets, but still be careful because sometimes it still burns their paws. Please keep your pets safe and warm. In bitter cold bring them inside even if they are used to being outside all the time. They need a chance to get out of the bitter temperatures. Make sure their doghouse is solid and insulated, those plastic igloos are not sufficient! With temperatures falling close to zero, some may find it necessary to use a space heater. If you do, remember the "Three Foot Rule". Make sure the heater is on a flat surface and 3 feet away from anything flammable; curtains, clothing, paper, etc! It is a good idea in the winter to make sure your gas tank never falls below a 1/4 tank. Otherwise you risk the chance of gas lines freezing. It is a good idea to keep your tank between 1/2 to 1/4 full so you won't be left out in the cold! If you are one of the many planning to bring in the New Year by going out, stay in groups when you are walking outside and communicate your plans with everyone involved. Celebrate with safety in mind. It is a good idea to periodically check your tire pressure in the winter months. Pressure fluctuates in cold temperatures which can cause uneven wear or even a blow out! Live Christmas trees after your holiday's end, can make great mulch for the Spring! Consider that option before leaving them out by the road. When you are opening presents on Christmas Day with children, look closely for any small, loose parts that could be a choking hazard for young ones and pets! For the last minute shoppers, don't forget that a gift card is a great idea for kids from one to ninety-two! 'Tis the time of year for giving, please consider giving to your favorite charity. Or volunteering if money is tight! Holidays bring out candles and lights, be sure to practice your fire safety plan! If you have cold air coming in from the bottom of your door, it may be time to check the "door sweep". They become torn or warped over time. Keep your tree watered and secure it so kids and pets can't tip it over. According to the NFPA (National Fire Protection Association) even a well-watered tree should be taken down after four weeks. That means if you decorated your real tree right after Thanksgiving it should be discarded the week after Christmas (not New Year's Day). With snow comes shoveling, be safe, if you haven't done any exercise don't start with shoveling and have a heart attack. Please be careful. JimSalmon.com would like to remind everyone to drive safely, make sure all your lights are cleared off and to leave a few minutes early to reach your destination. To help on heating and electrical costs in the winter, consider lowering your hot water temperature to a "normal setting" of 120 degrees Fahrenheit. You could see a savings of 7 - 11%! Christmas shopping means more if you shop local contractors, vendors, artists, writers and support local entertainers, rather than big box or national chains. We have many on www.jimsalmon.com which, by the way, is a local business, too! Keep your fresh tree fresh (and avoid fire hazzards)! Always place your tree away from heat sources like fireplaces, radiators, candles, heat vents or lights and keep the tree base filled with water to avoid a dry out. Yes, it's a holiday tip, it may be (or maybe not??) too early for holiday music but NOT too early for holiday budgeting tips! Do not wait until the very last minute to buy presents or you may end up overspending or buying items you did not plan to. Allow yourself the extra time to compare prices which is especially helpful when buying big-ticket items such as electronics. Now is the time to stock up on ice melt (pet safe of course) and a handy little one to defrost those frozen door handles/locks. To ensure proper cooking, make sure your turkey reaches an internal temperature of 165 degrees. When flooding occurs on roadways, never assume it is safe to pass through. Did you know the weight of the shovel can impact your efficiency? When buying a shovel, go lighter! Melt Icy Driveways – Dry out your grounds and store them for winter. They are an amazing way to melt icy driveways. Simply sprinkle as you would salt, and watch it go. Instead of chemically melting the snow, they will absorb the sunlight, even on cloudy days, and melt the snow and ice. Plus, it won’t leave the edges of your driveway barren of plant life in the spring. Think ahead! The safest method to thaw a turkey is in the refrigerator. Be sure to plan ahead!! It takes approximately 4-5 days for a 20-pound turkey to fully defrost. Be sure all fluid levels in your car are at the appropriate levels. This will make sure your car will start in the cold weather! Call your heating contractor (Crossfield Heating 585-872-4420) to have them service your furnace. They are specialists with boiler systems. Little (and often overlooked) adjustments can save you in your heating costs, such as making sure none of your heating registers are blocked. It's that time of year to change your furnace air filter. Remember it improves air quality all year long! For ladies, use coffee grounds as a facial and body scrub! You'll be surprised how soft your skin will feel. Sprinkle damp coffee grounds over ashes to keep dust down while you clean your fireplace out.